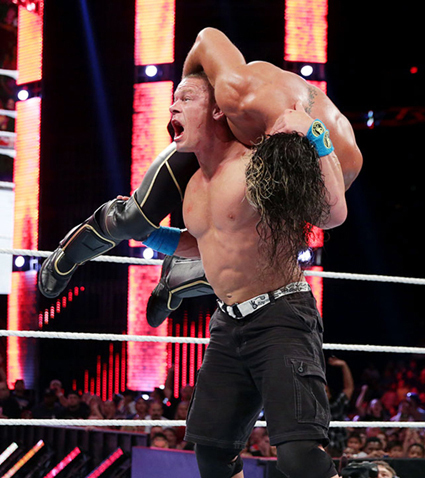 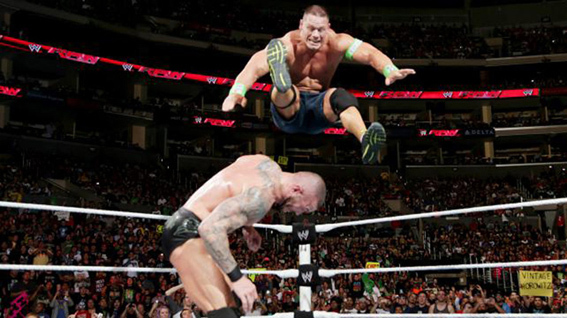 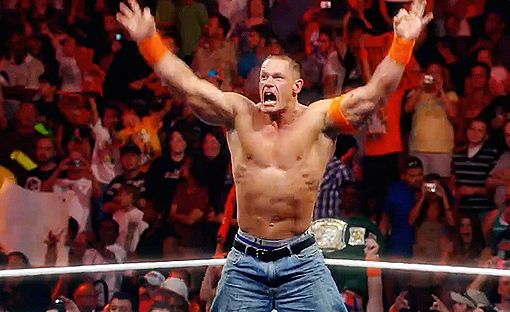 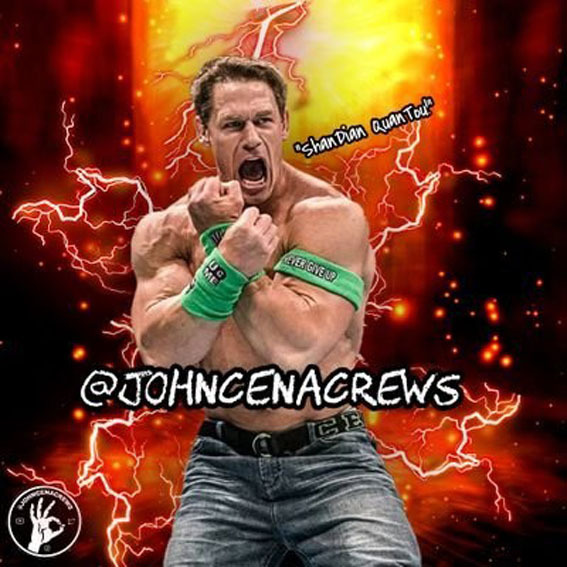 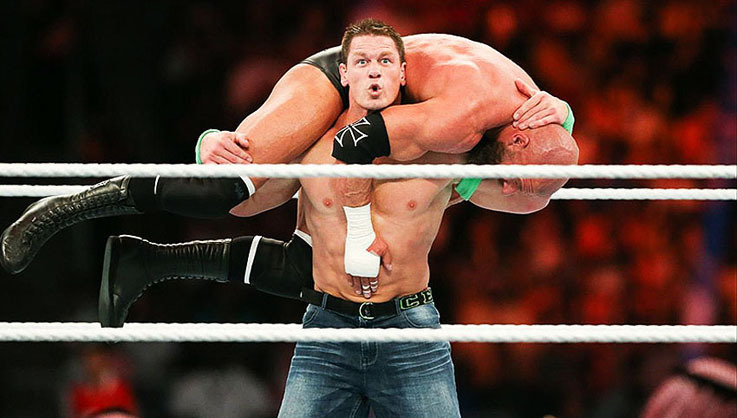 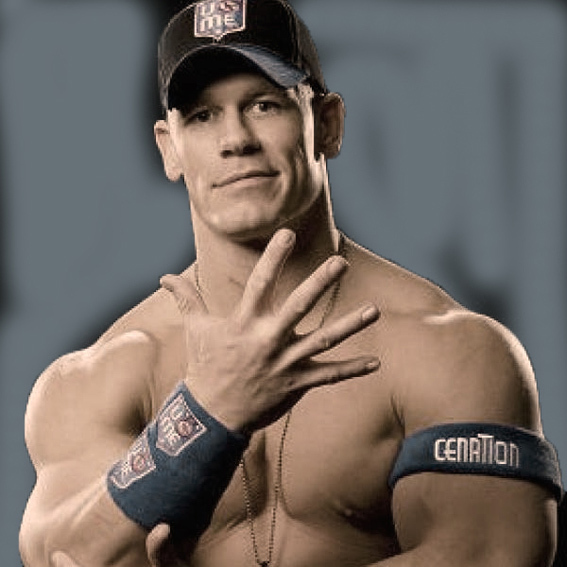 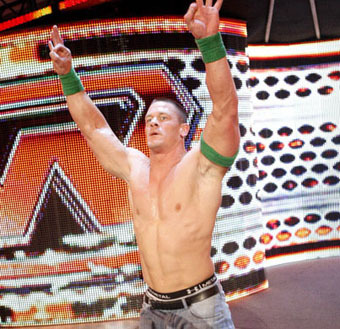 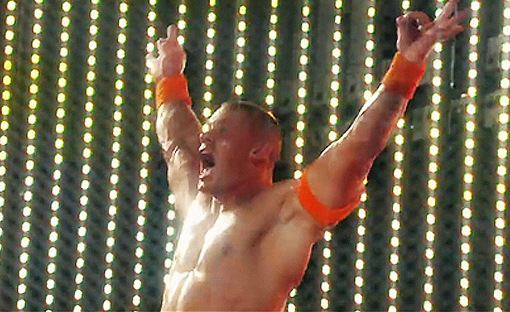 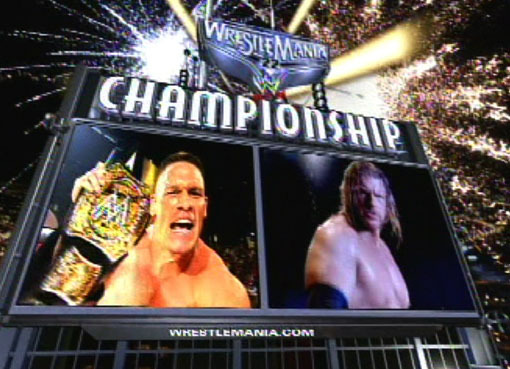 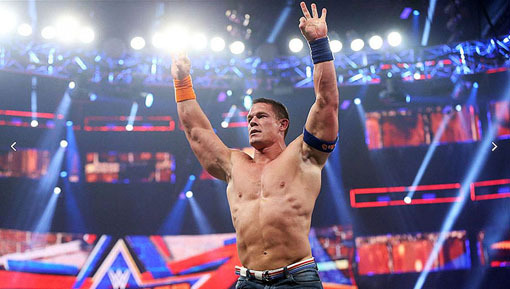 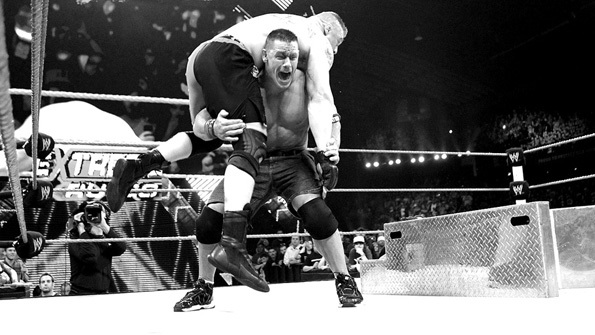 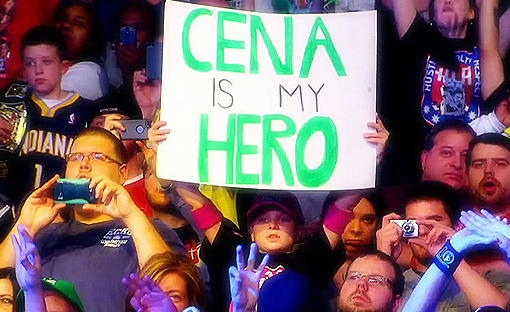 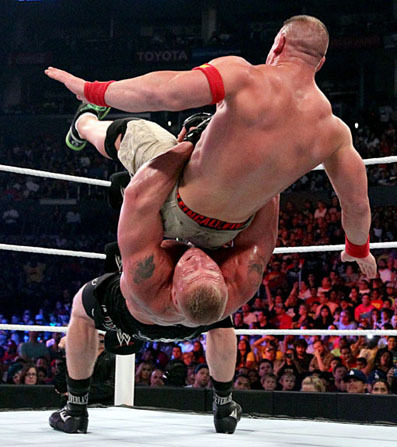 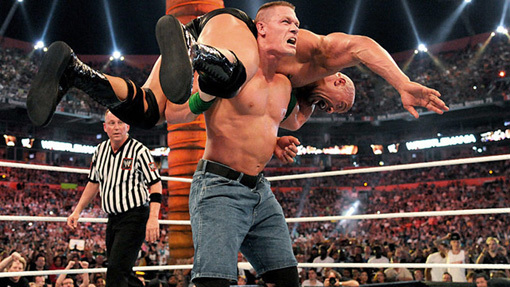 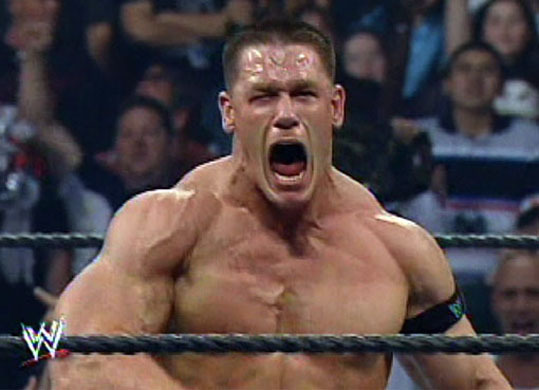 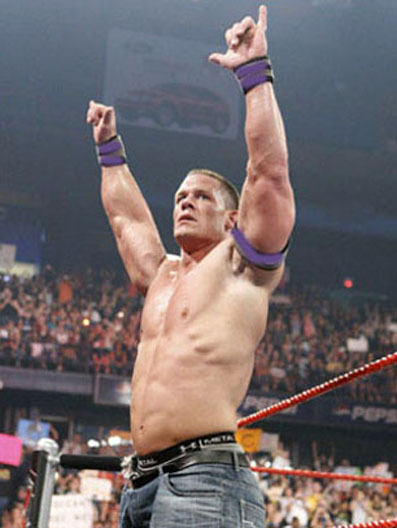 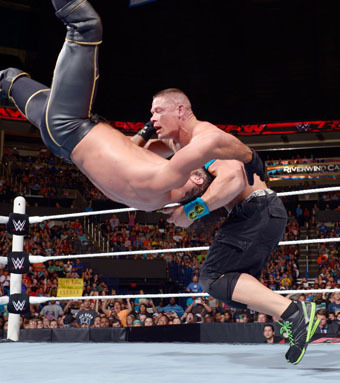 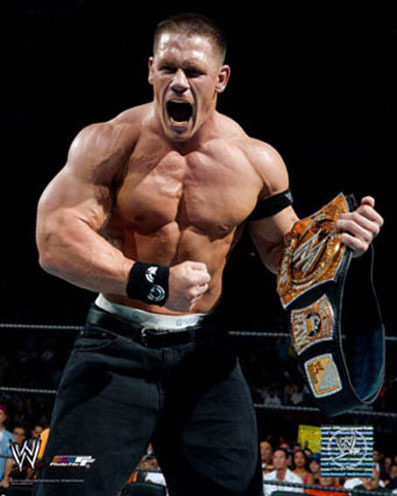 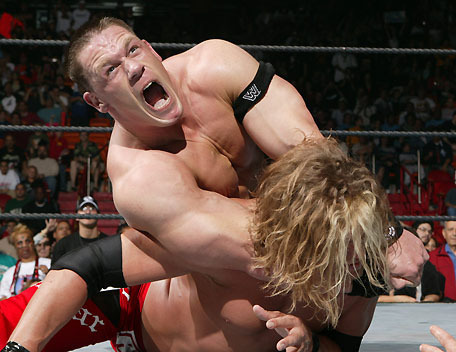 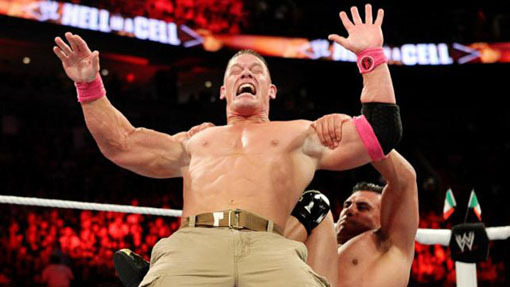 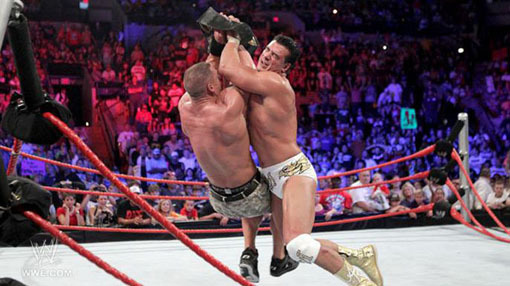 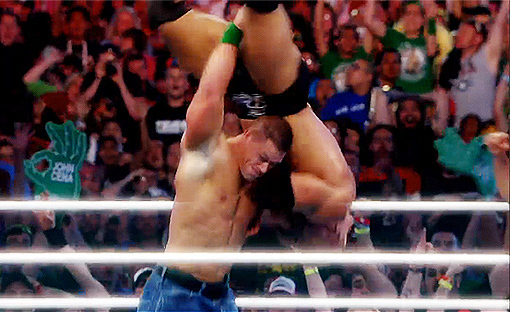 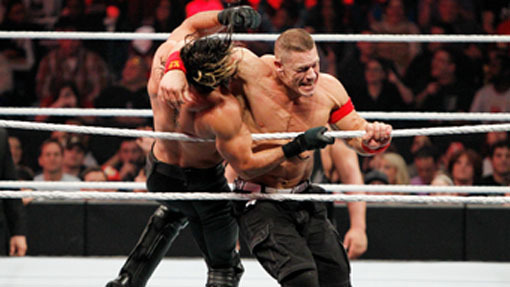 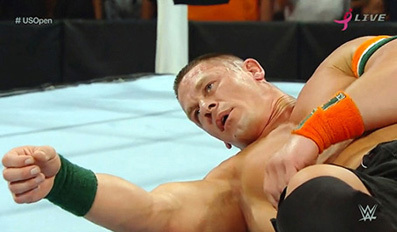 A BIG CENA'S VICTORY OVER BROCK LESNAR! 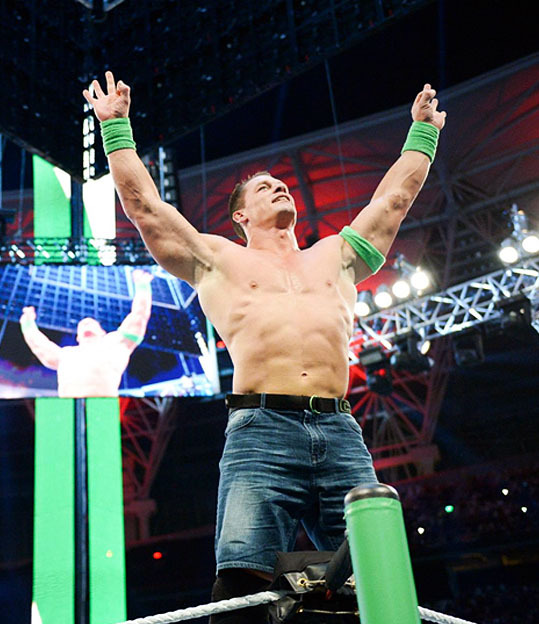 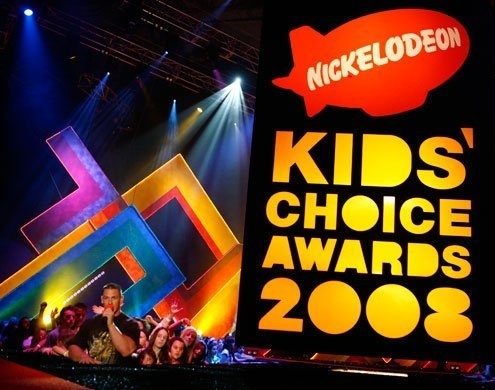 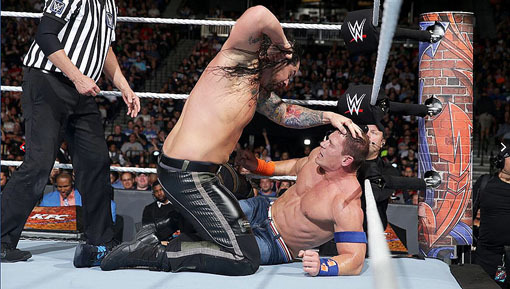 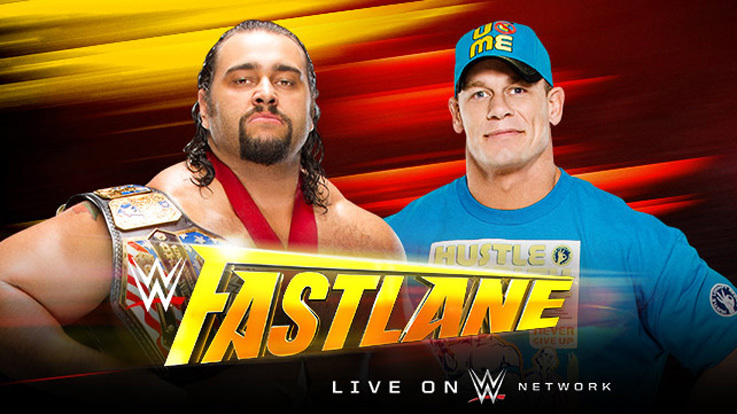 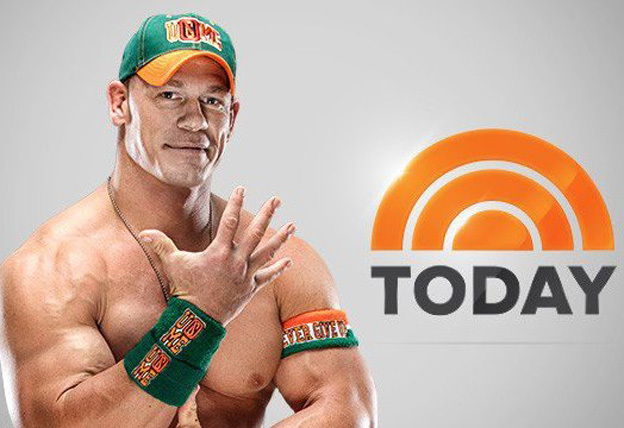 JOHN CENA NO MATCH FOR RUSEV'S ACCOLADE! 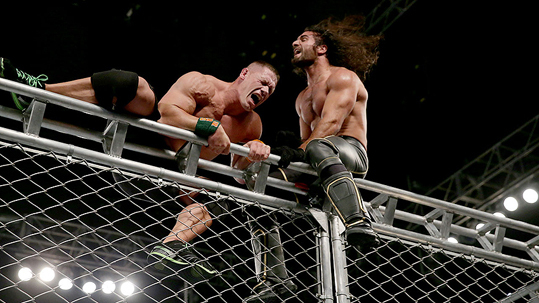 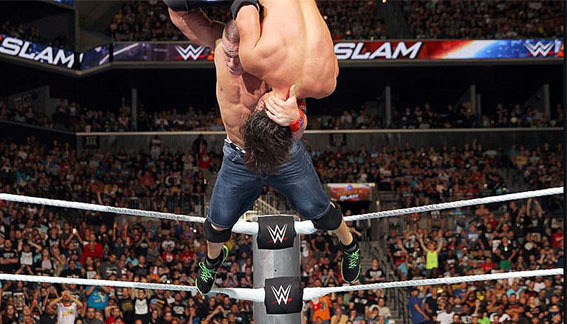 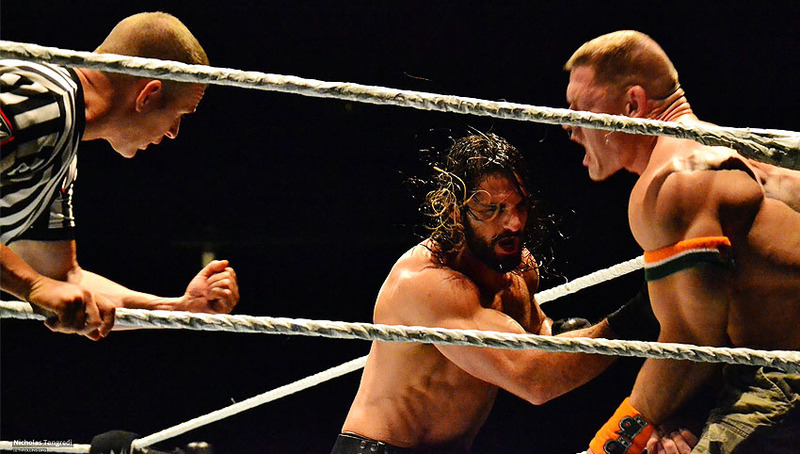 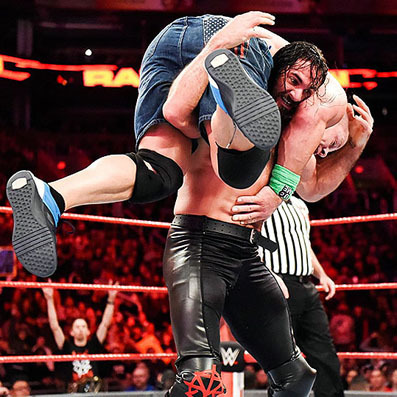 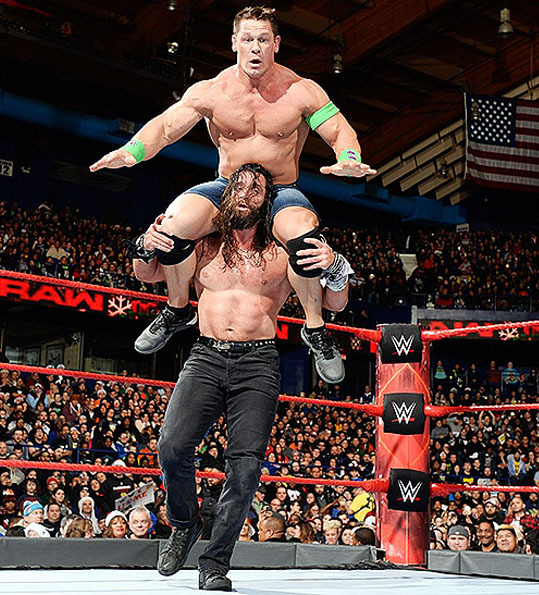 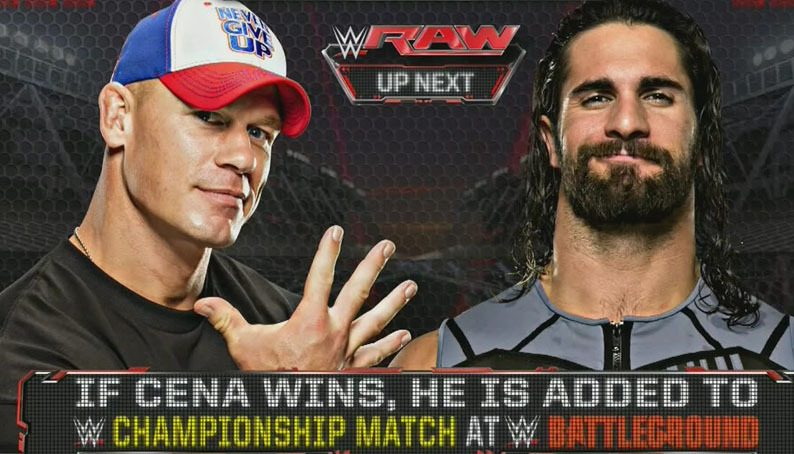 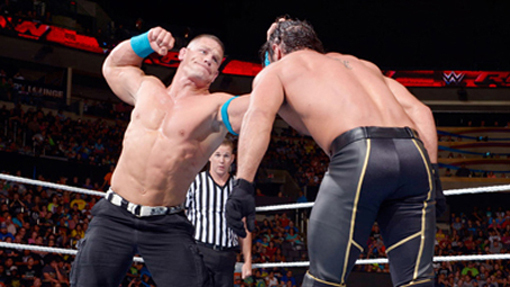 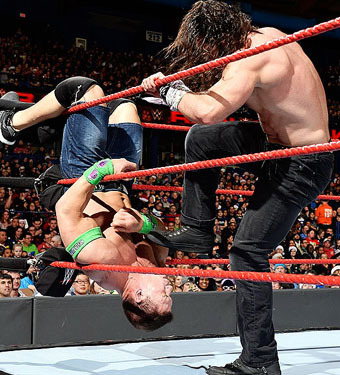 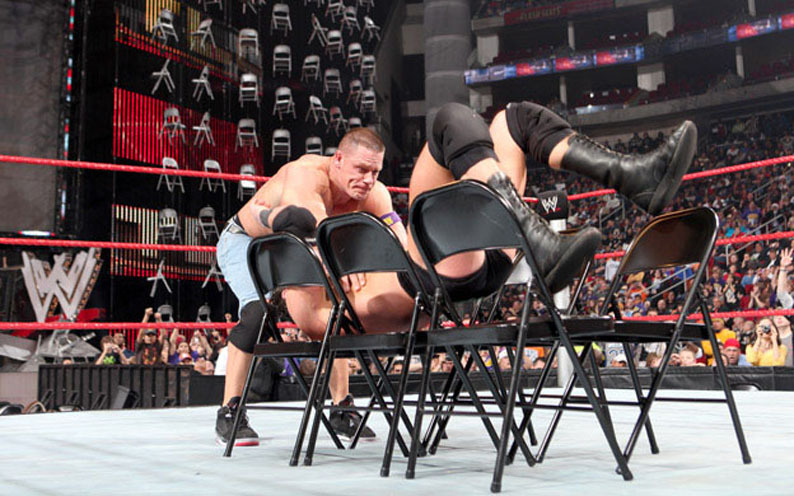 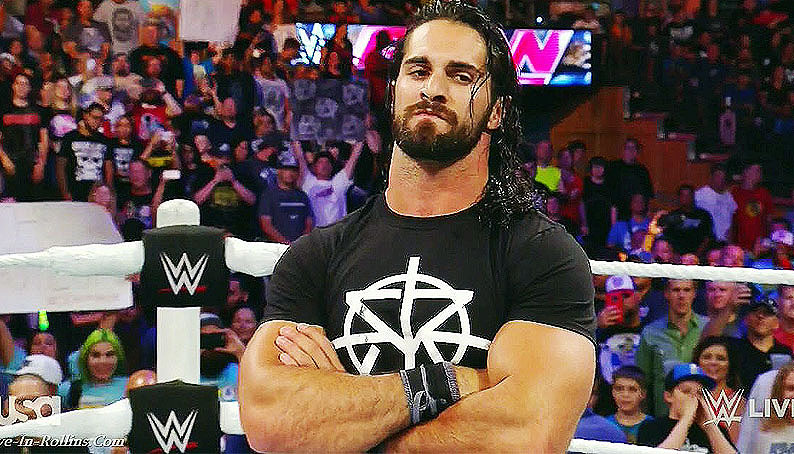 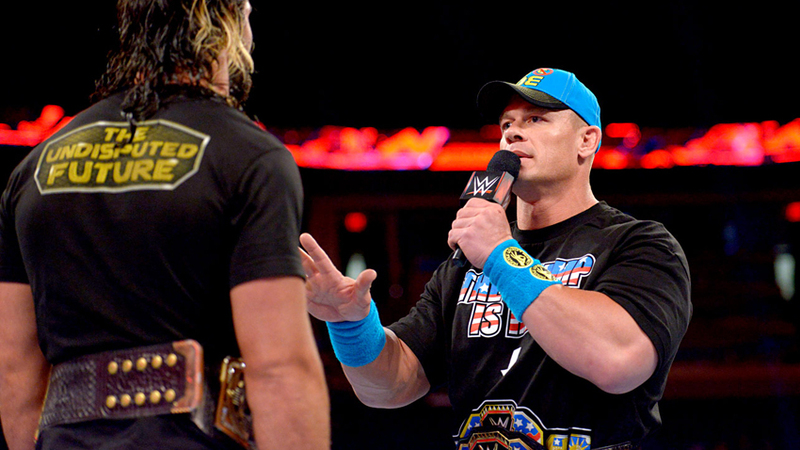 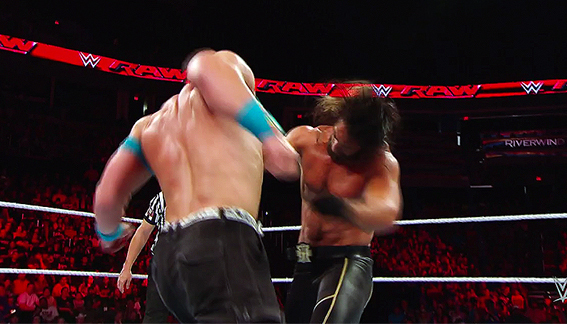 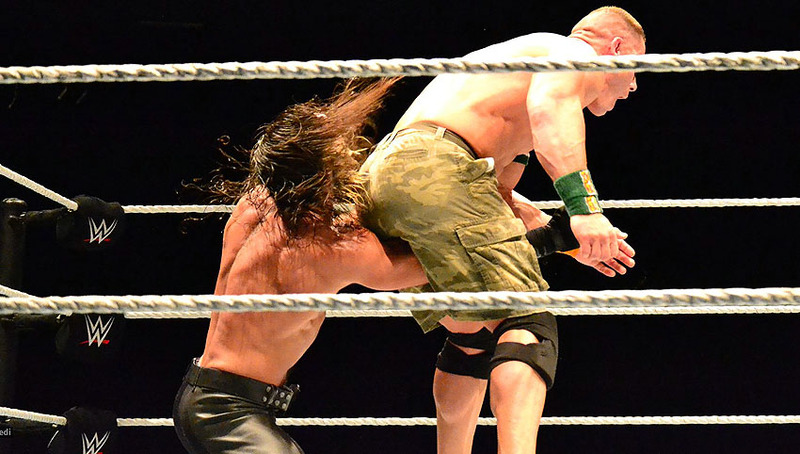 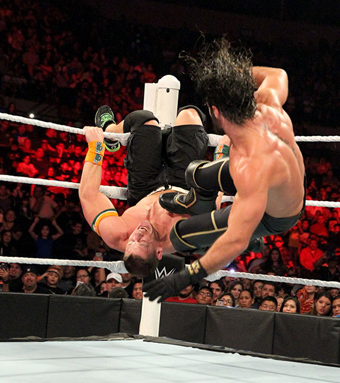 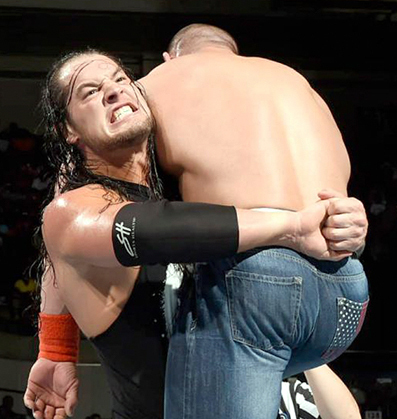 JOHN CENA ~SETH ROLLINS' FEUD! 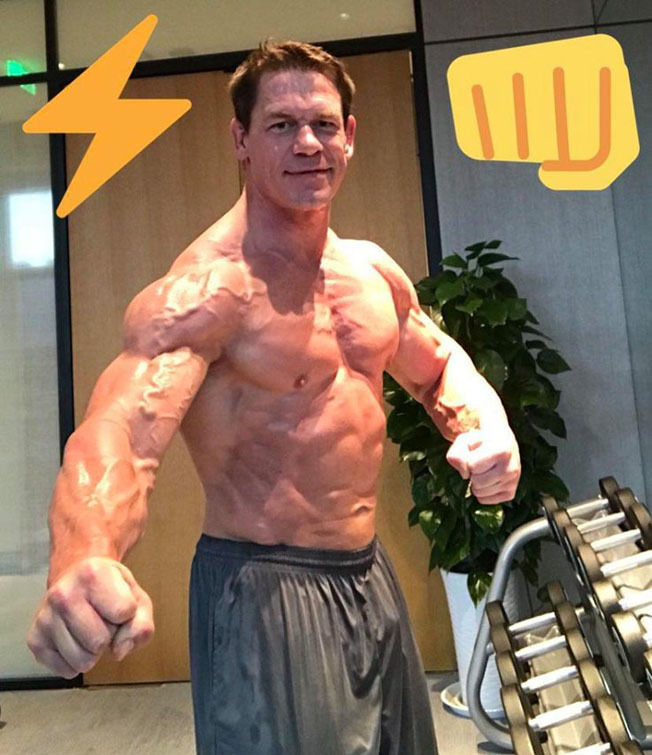 CLICK HERE TO GO TO THE FIGHT! 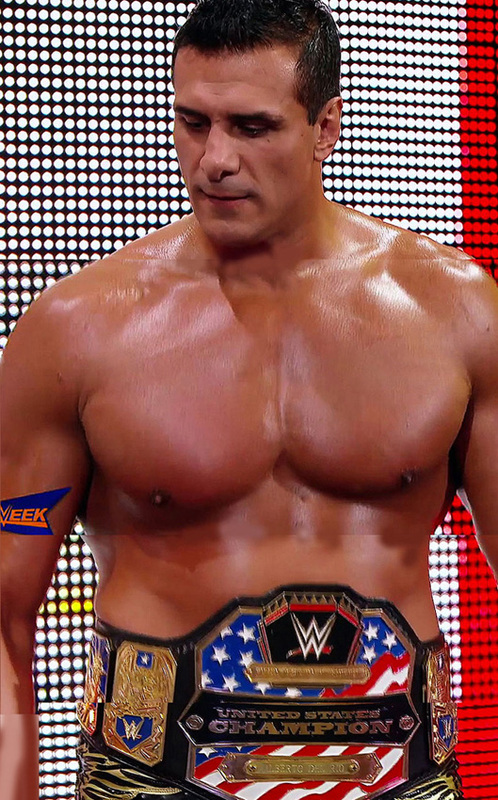 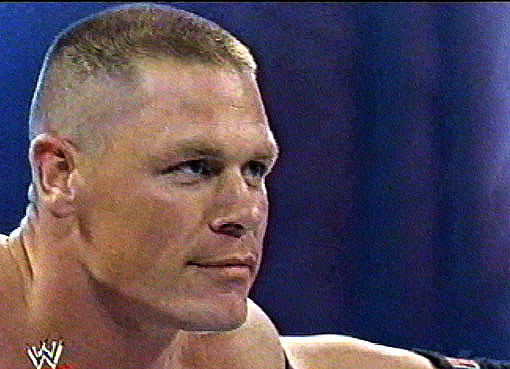 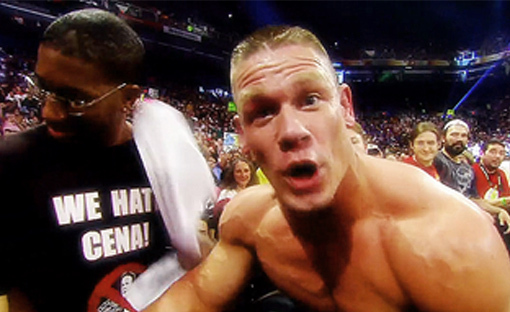 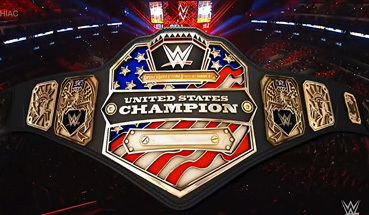 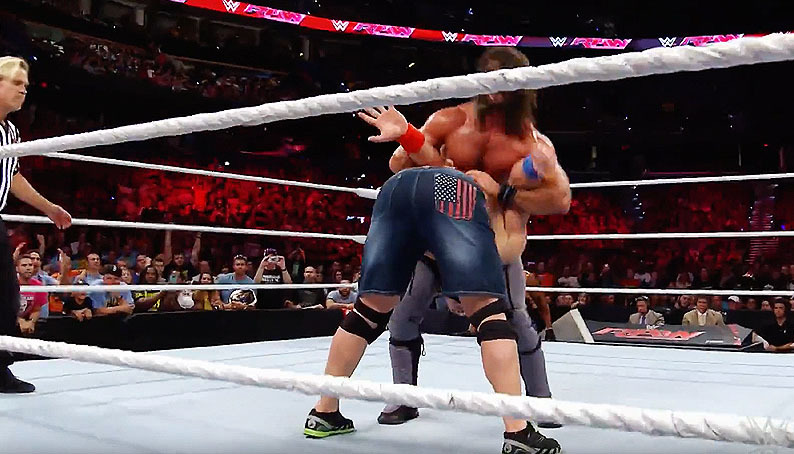 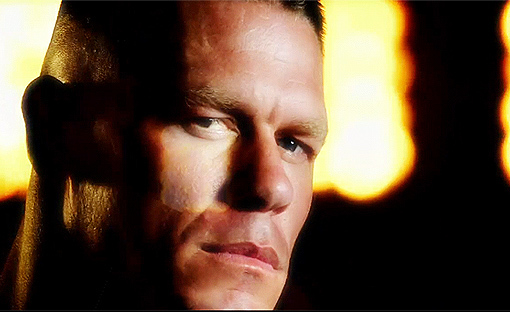 BROKE U.S.A. CHAMPION JOHN CENA'S NOSE! 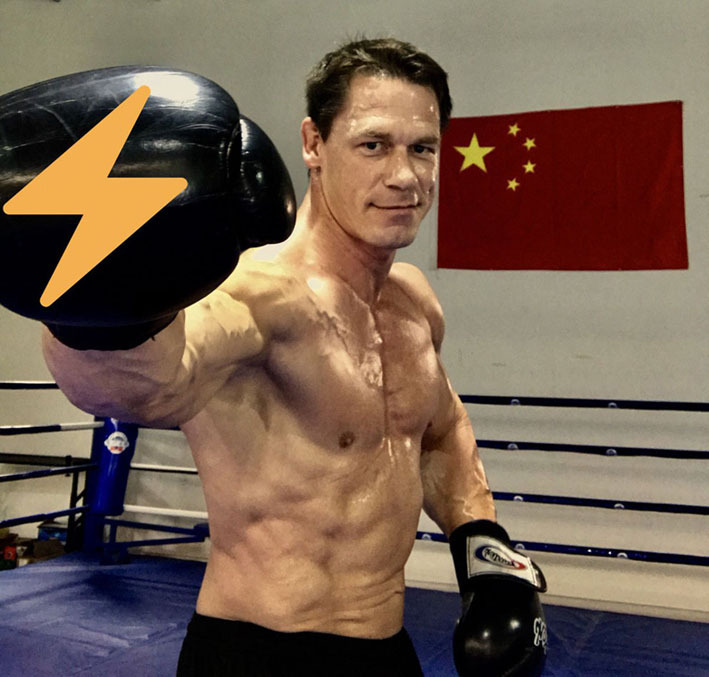 CLICK HERE TO GO TO THE FIGHT. 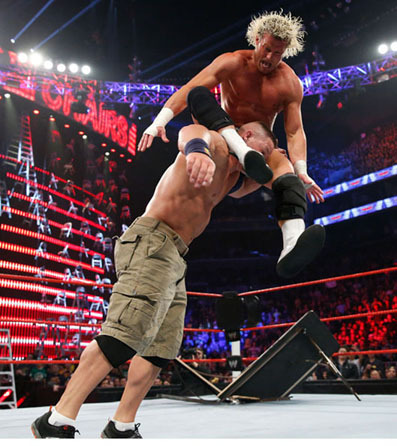 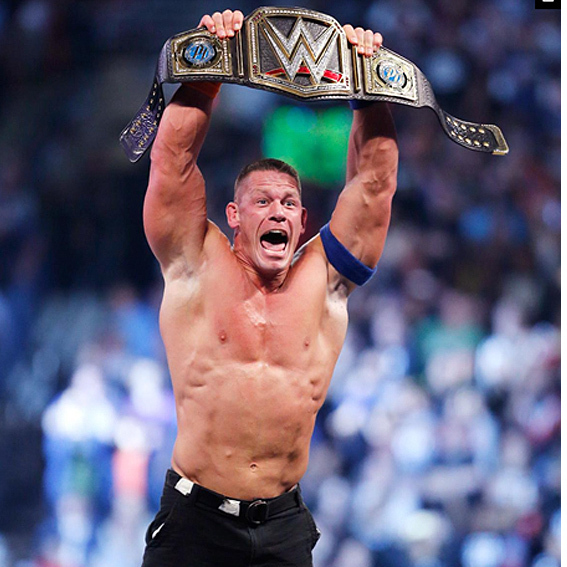 JOHN CENA EQUALS THE RICK FLAIR'S RECORD WINNING HIS 16TH WWE WORLD HEAVYWEIGHT TITLE ! 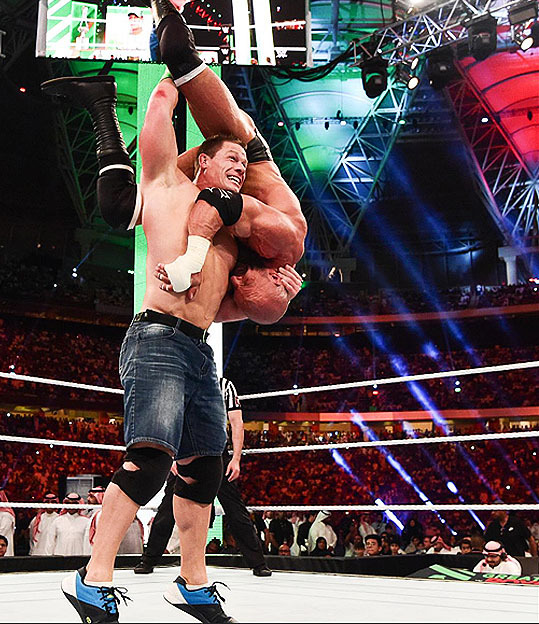 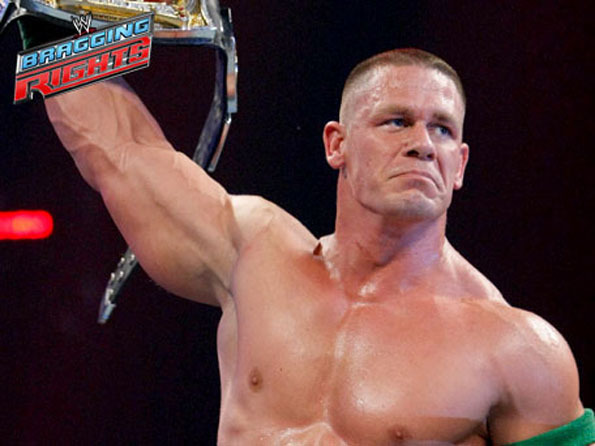 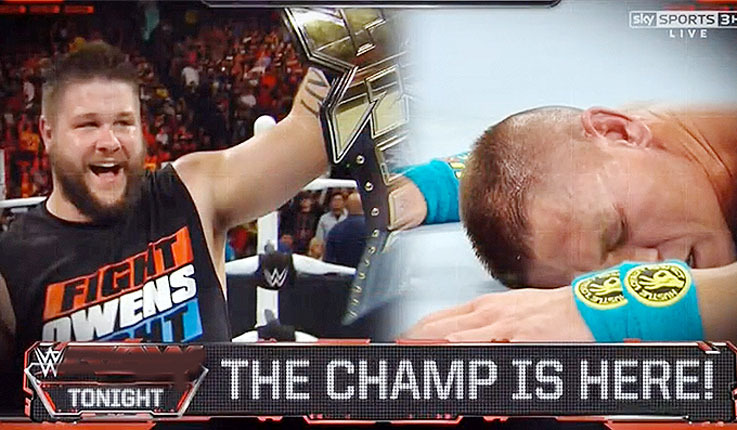 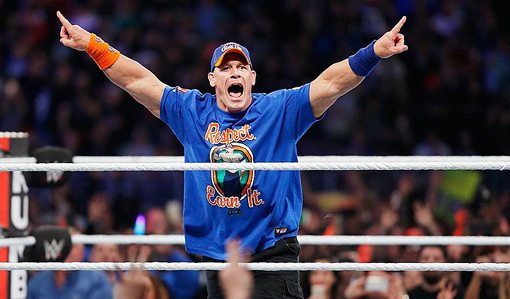 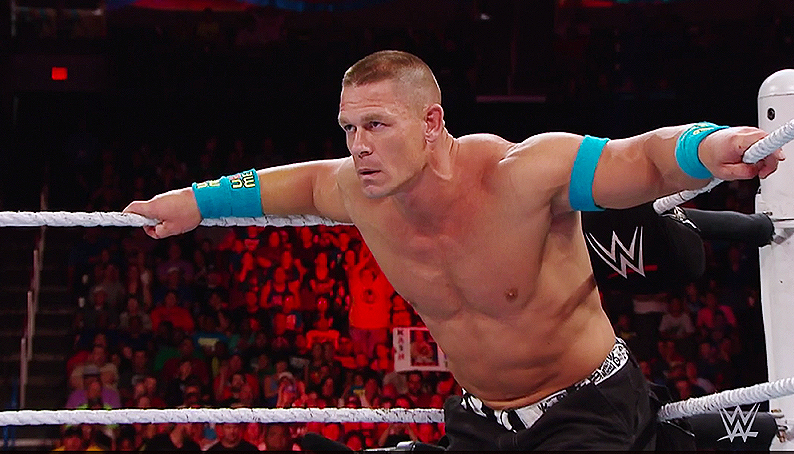 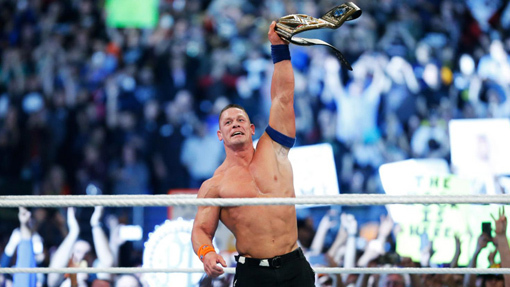 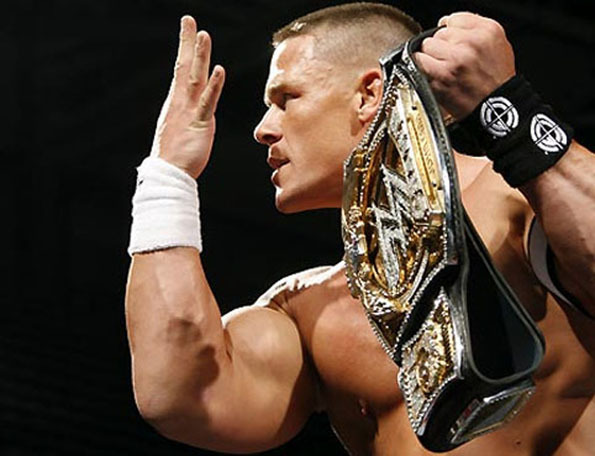 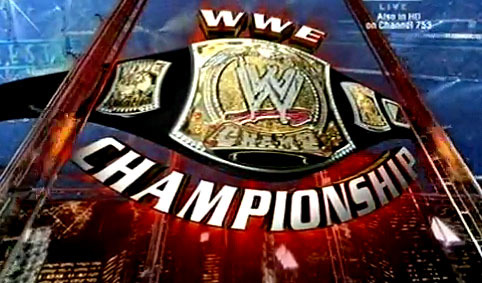 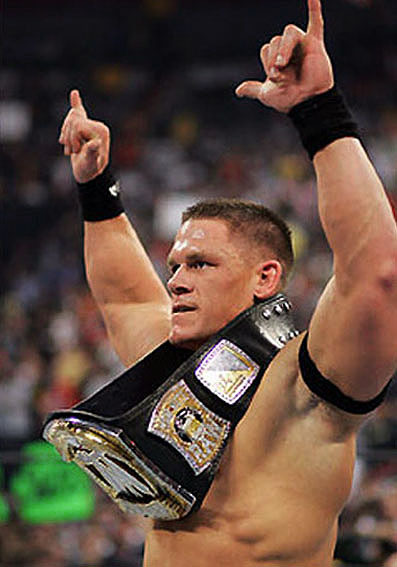 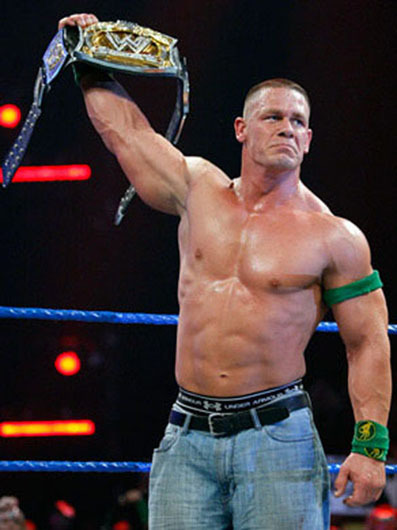 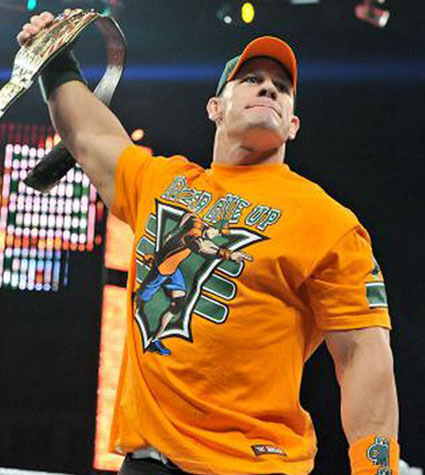 JOHN CENA WINS HIS 16TH WWE WORLD HEAVYWEIGHT TITLE! 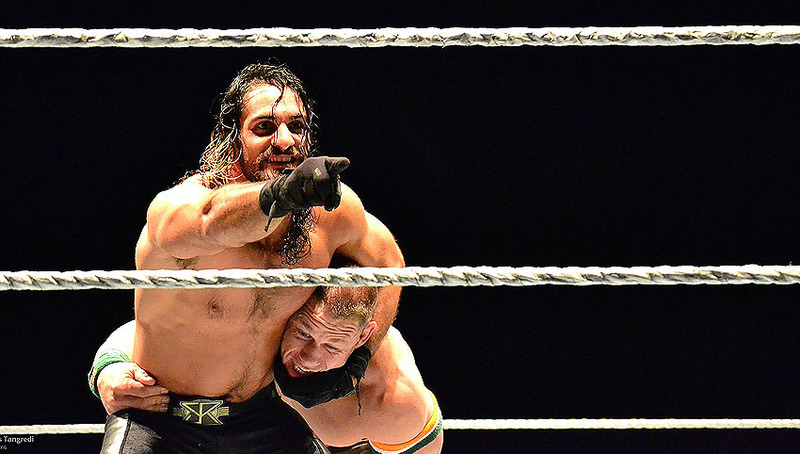 JINDER MAHAL PINS MONEY IN THE BANK BARON CORBIN ! 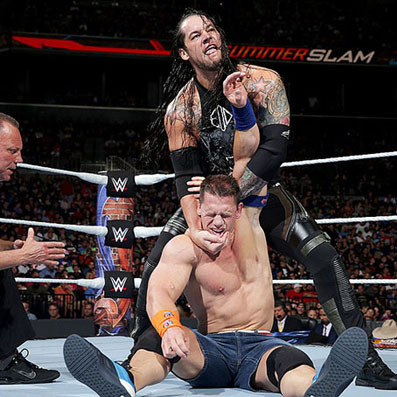 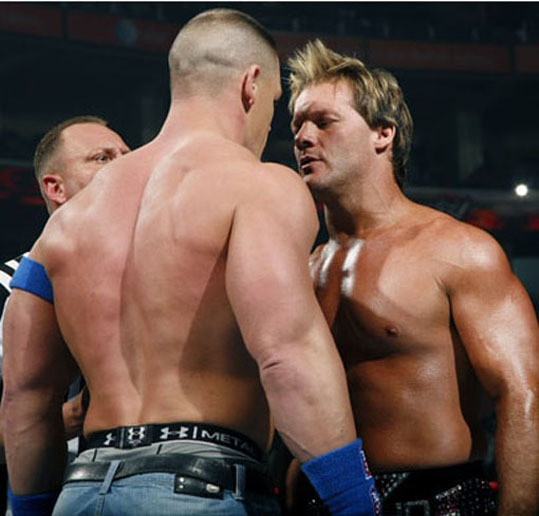 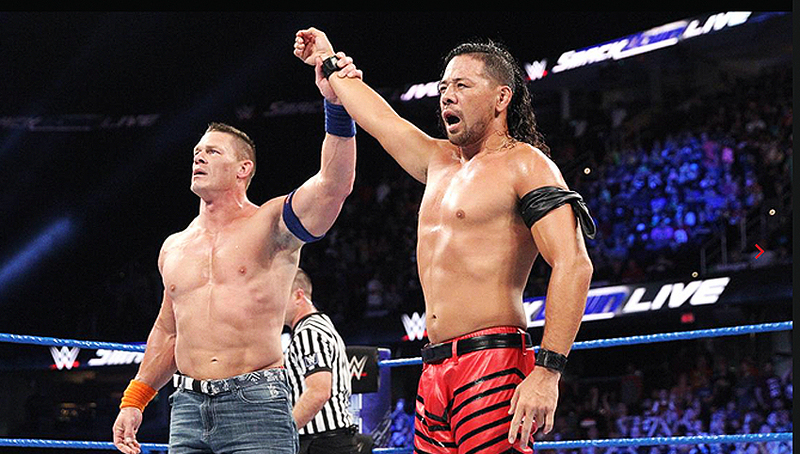 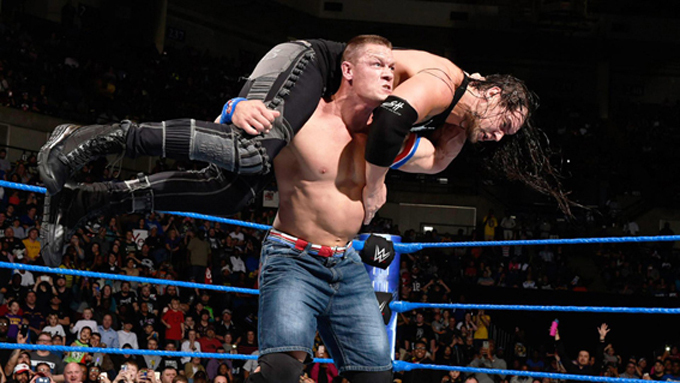 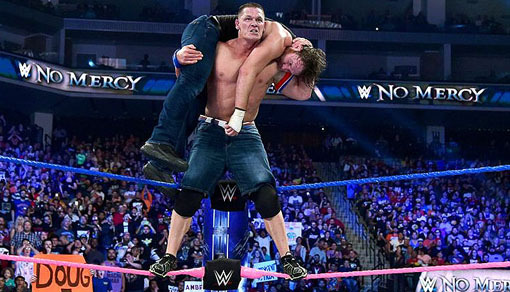 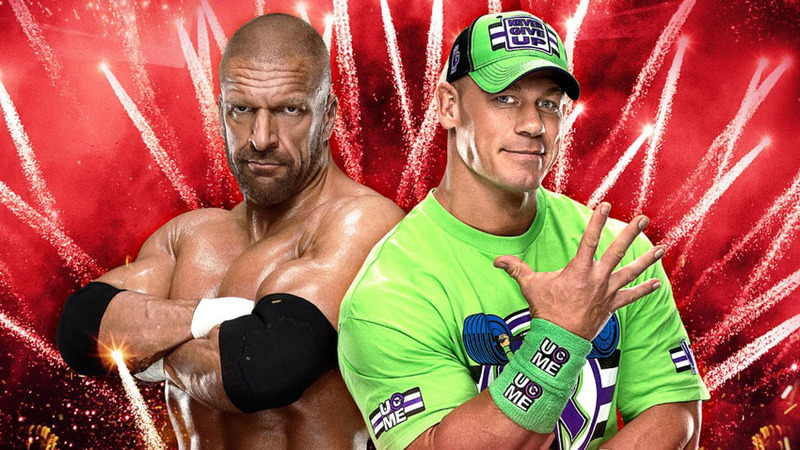 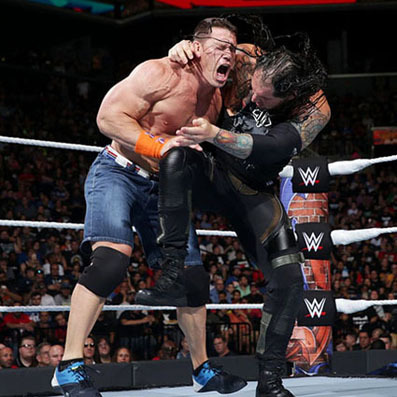 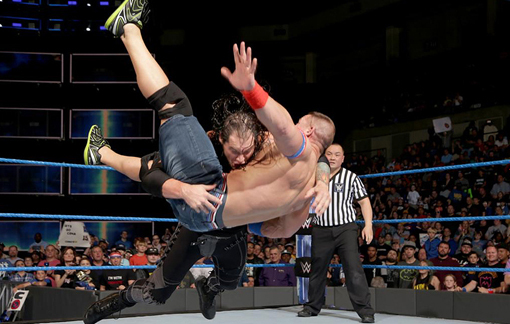 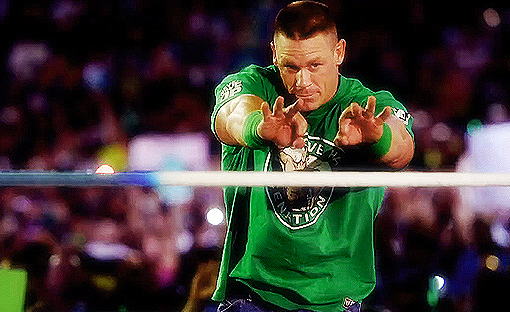 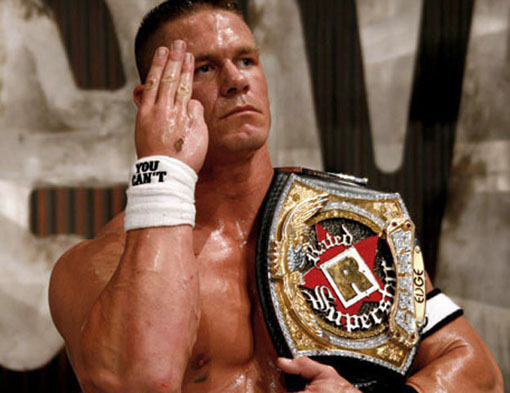 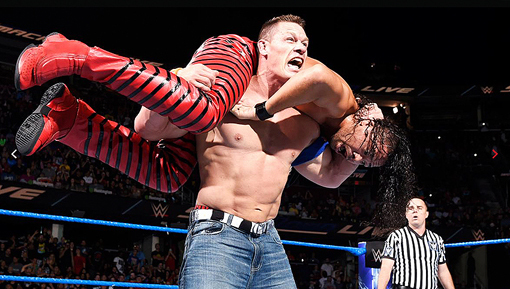 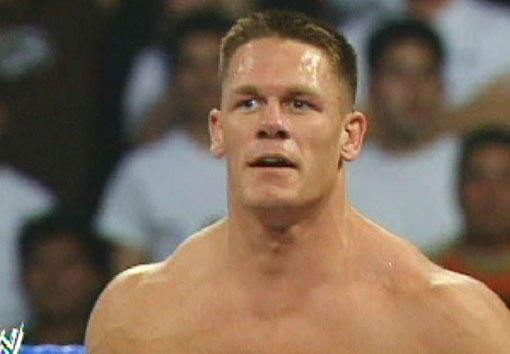 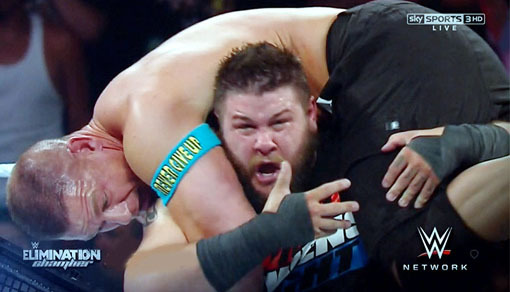 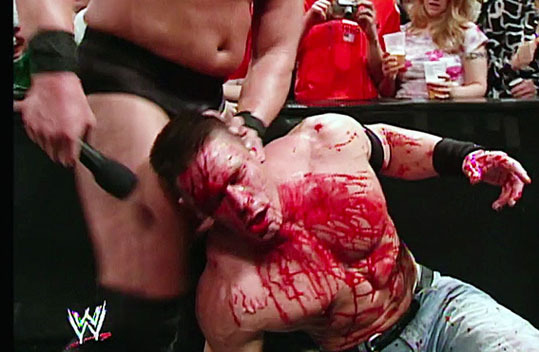 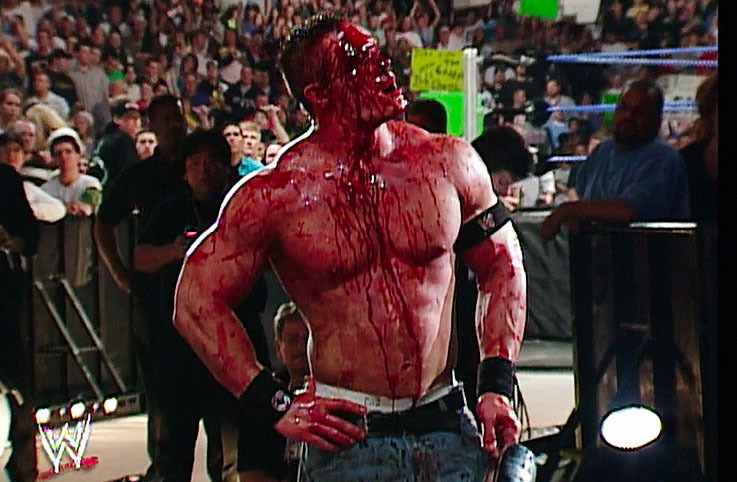 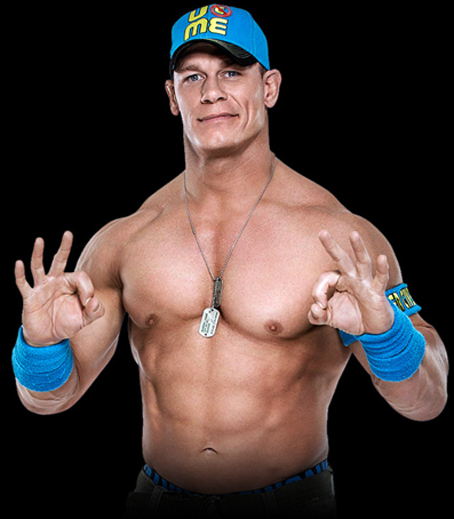 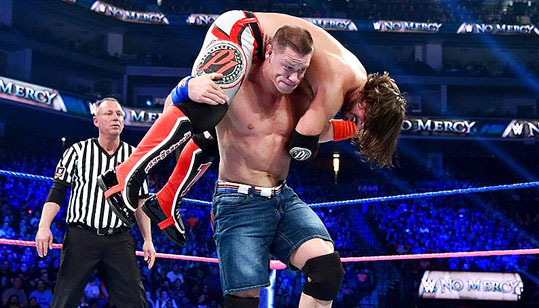 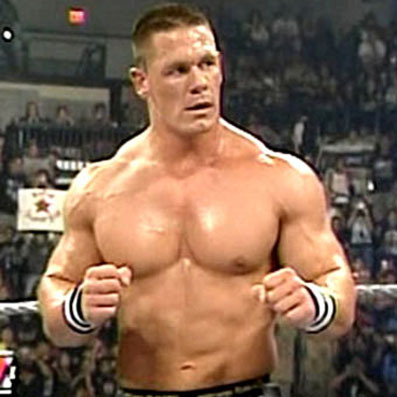 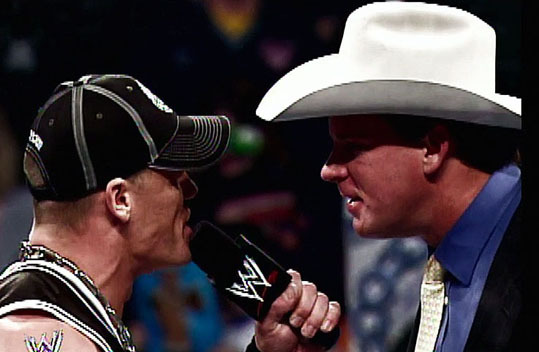 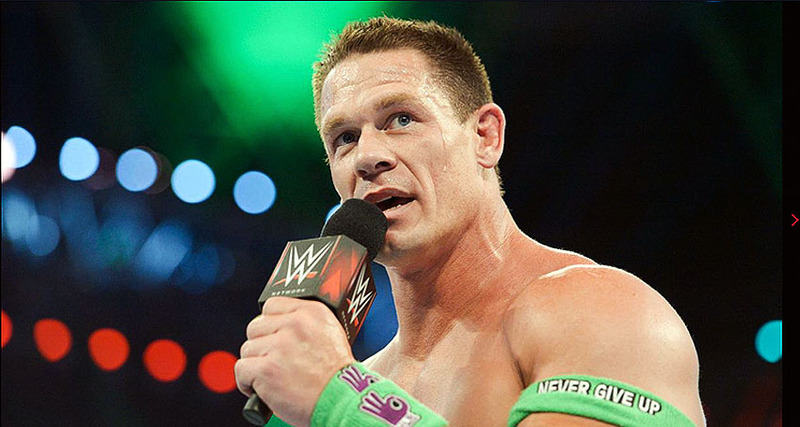 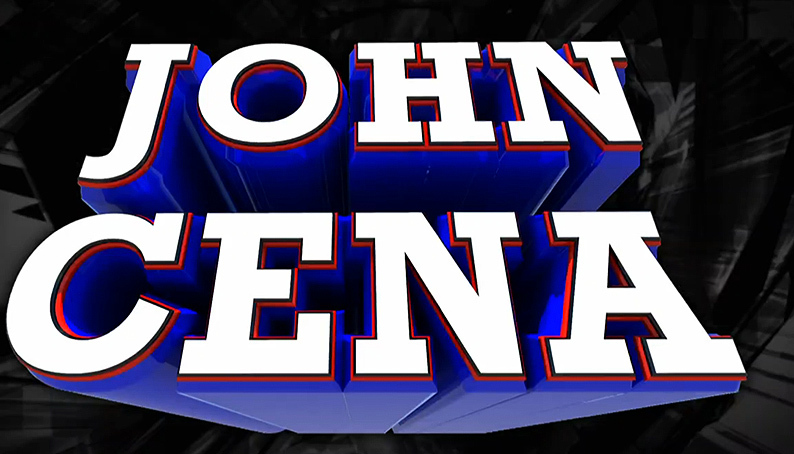 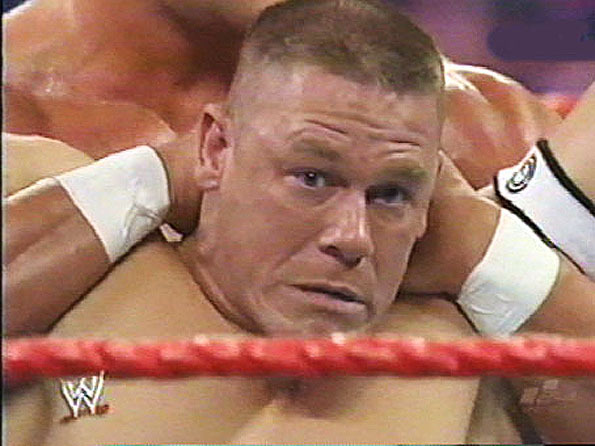 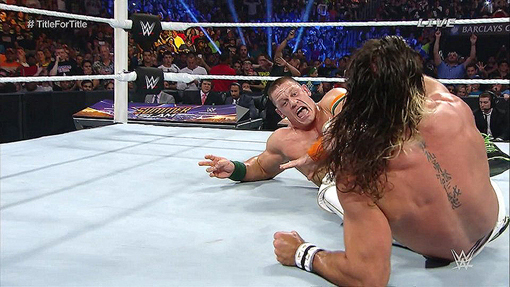 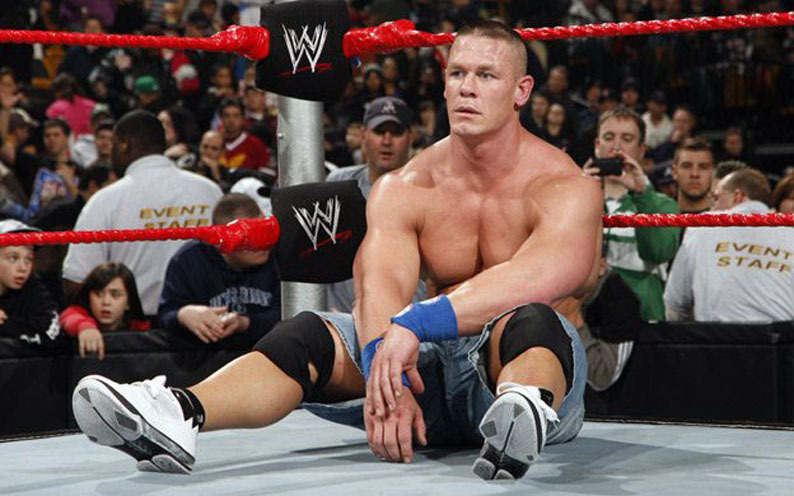 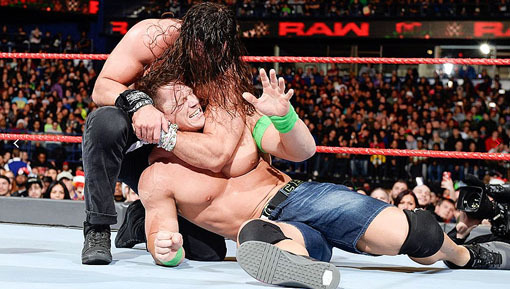 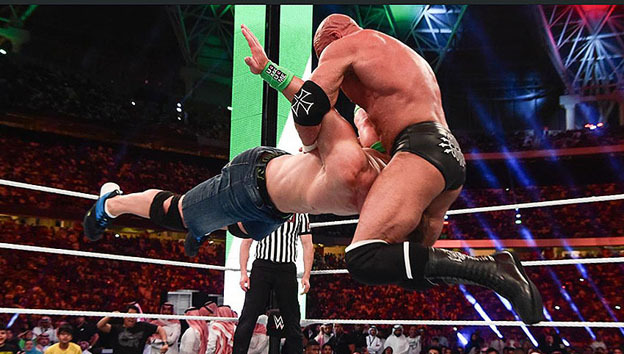 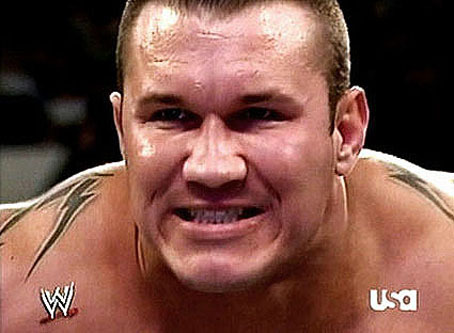 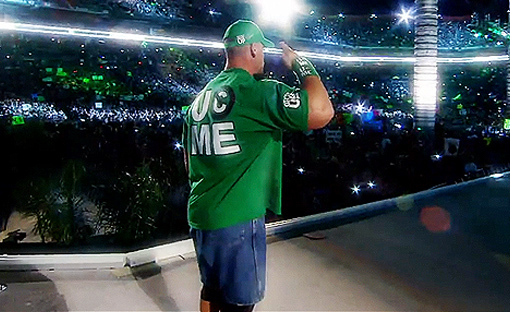 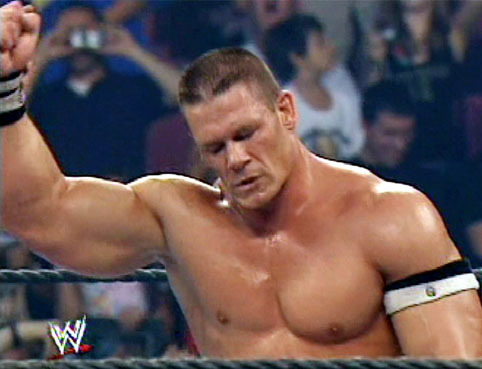 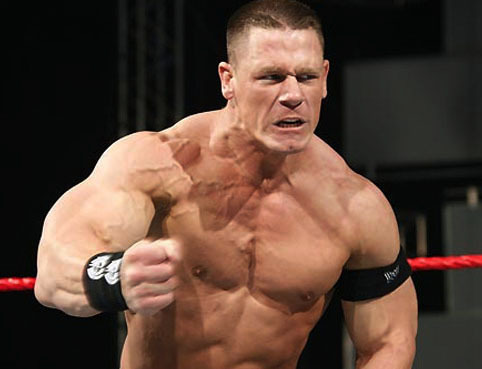 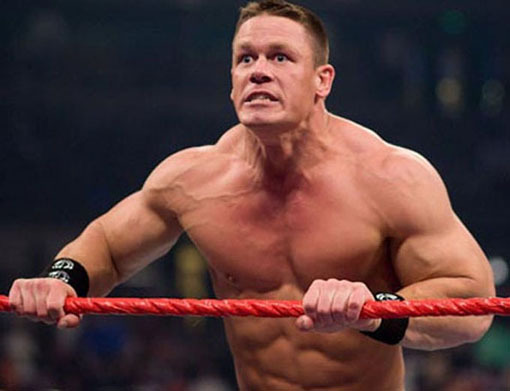 WWE MADE CENA END HIS WWE WRESTLING CAREER BY TWO DEFEATS. 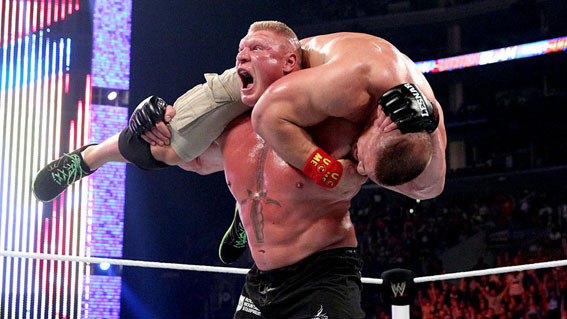 ONE TOTAL DESTRUCTION BY THE MONSTER BRAUN STOWMAN AND A F... 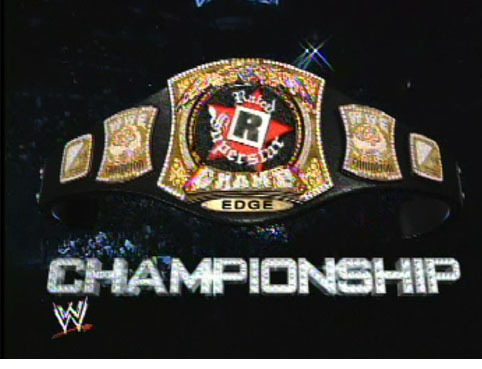 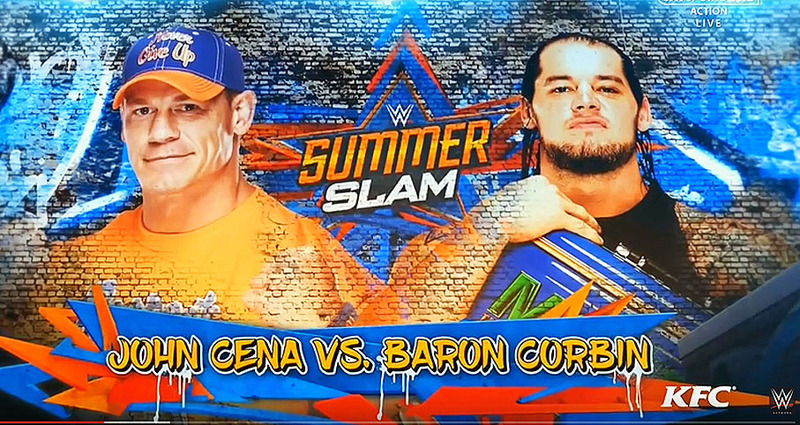 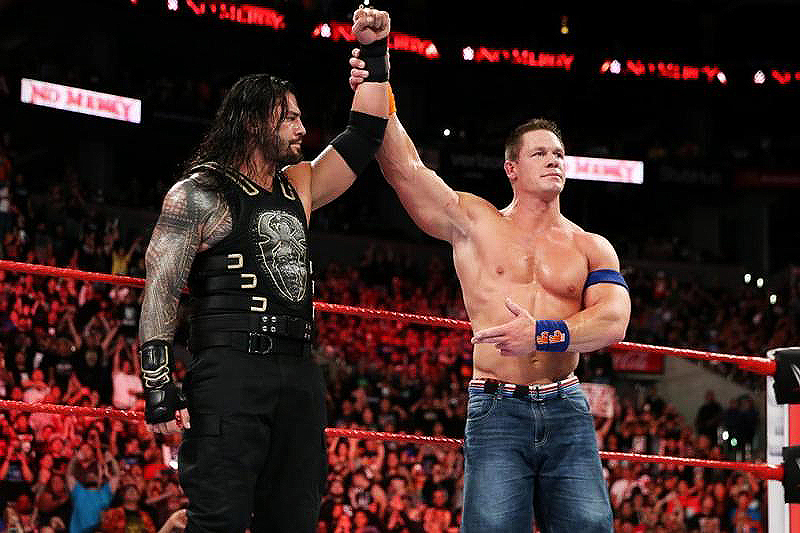 FAKE MATCH AGAINST ROMAN REIGNS, IN THE PURPOSE TO PASS THE TORCH TO THE NEW WWE CHOOSEN BIG DOG. 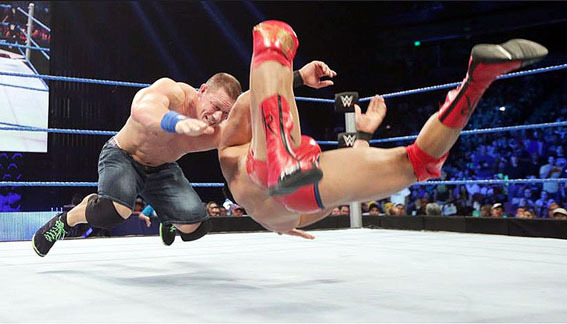 A BIG FLOP! 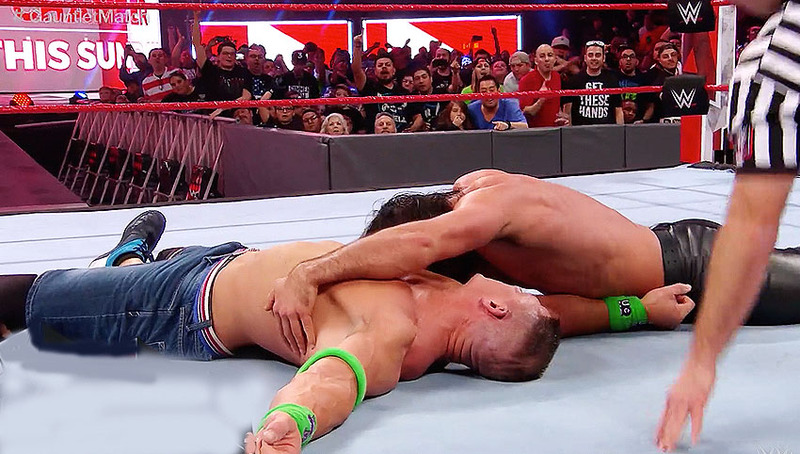 A SHAME! 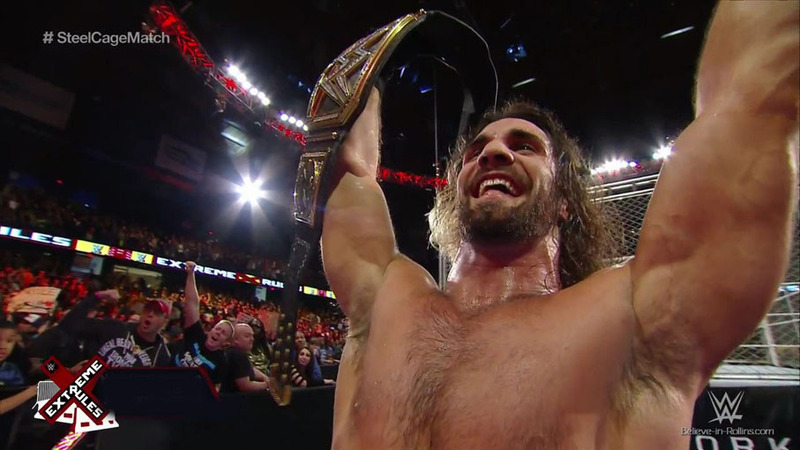 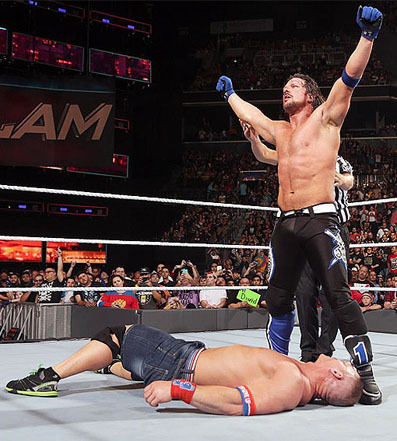 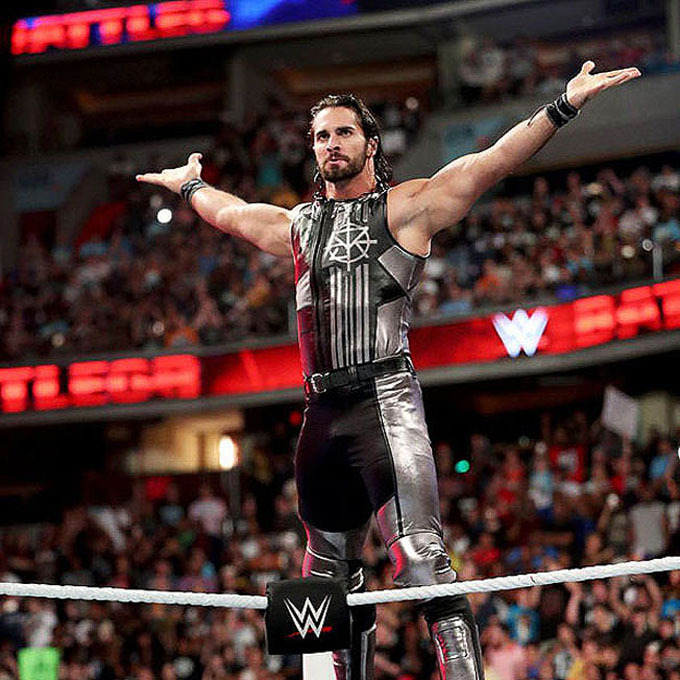 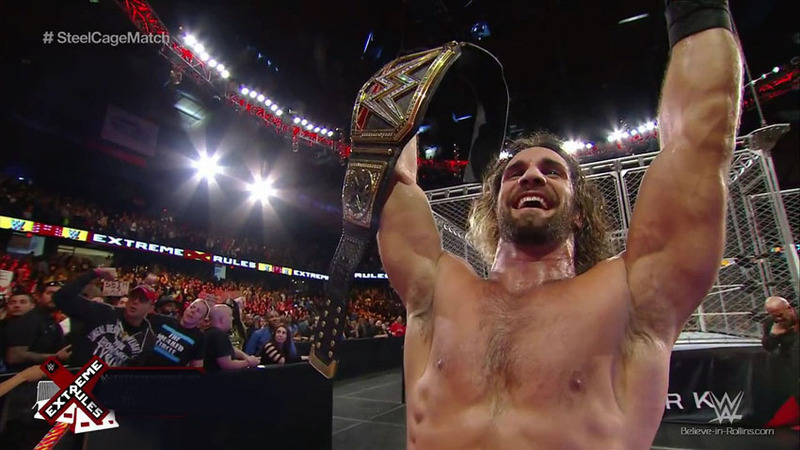 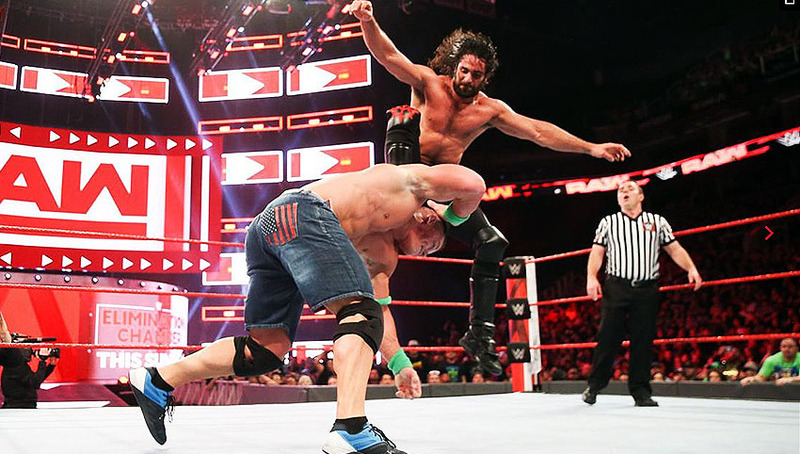 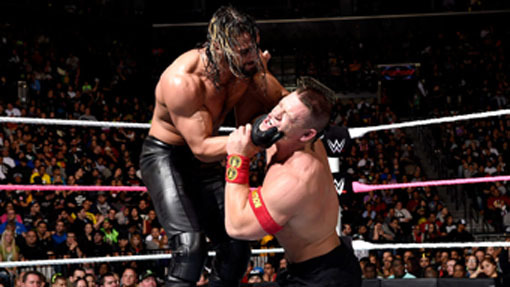 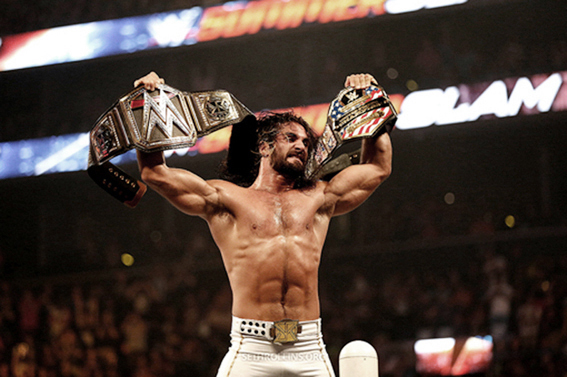 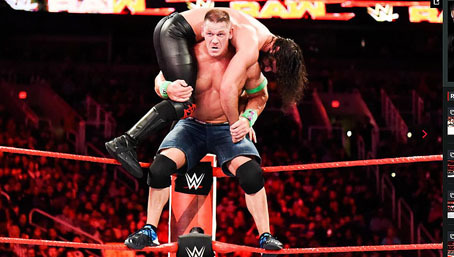 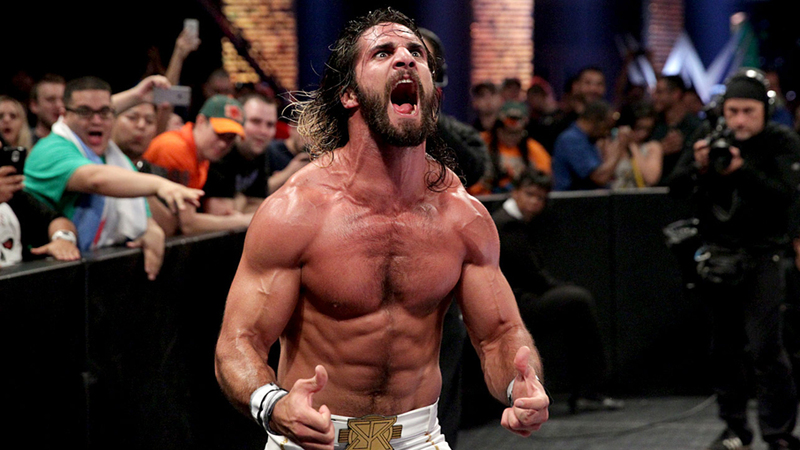 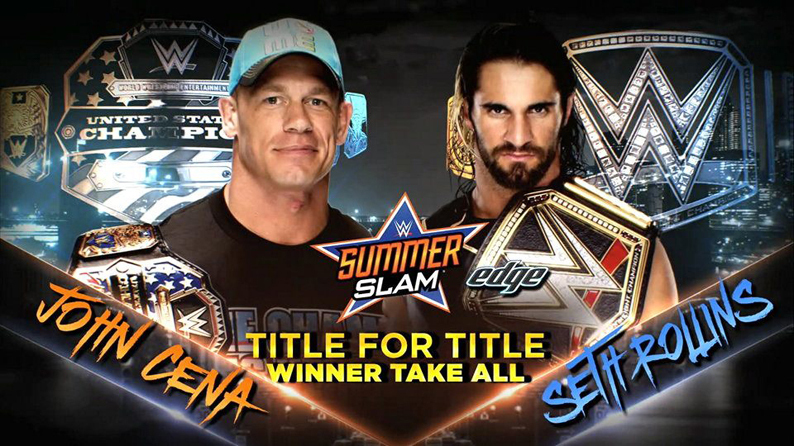 AFTER A VICTORY OVER REIGNS AND MORE THAN ONE HOUR OF HARD FIGHT SETH ROLLINS SLAUGTHERS LITERALLY JOHN CENA! 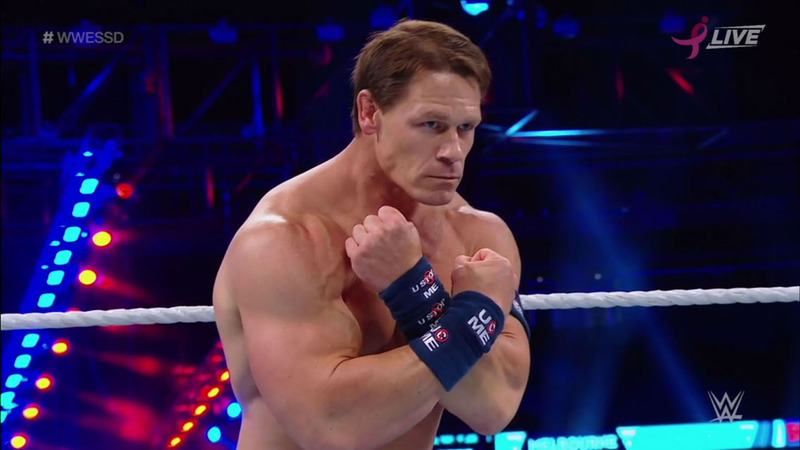 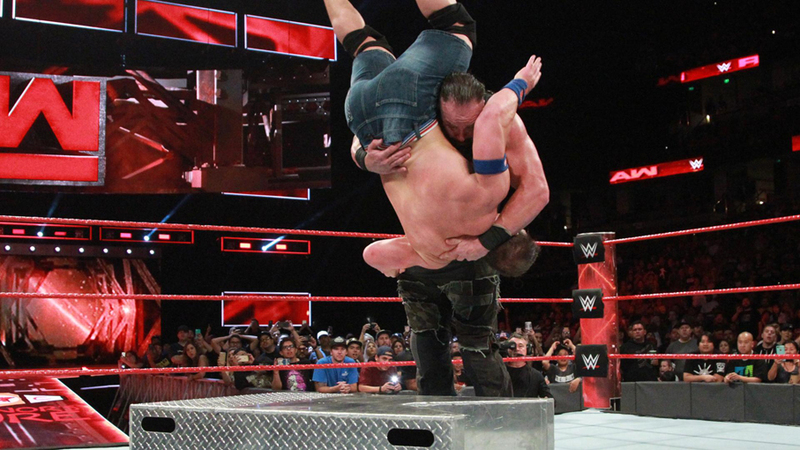 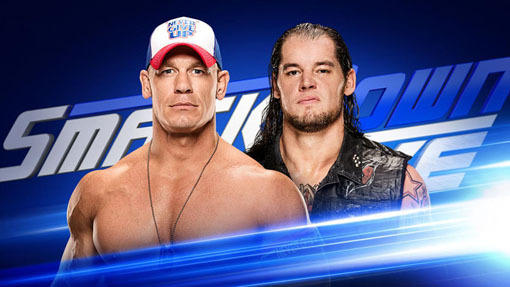 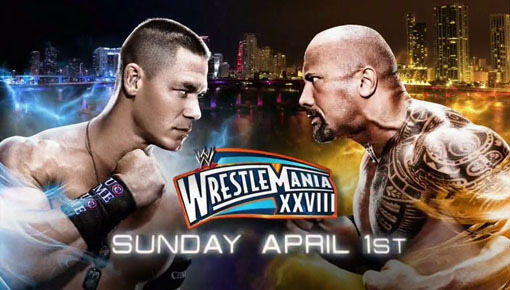 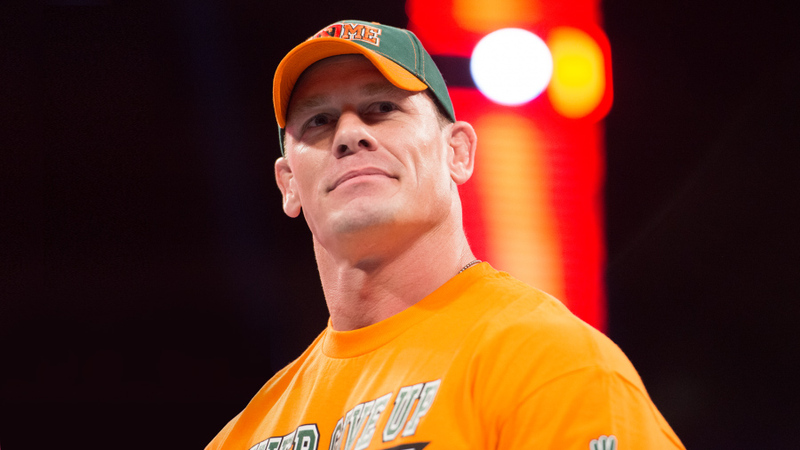 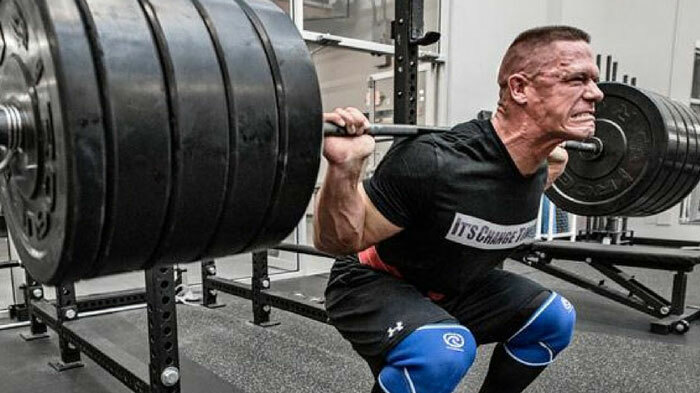 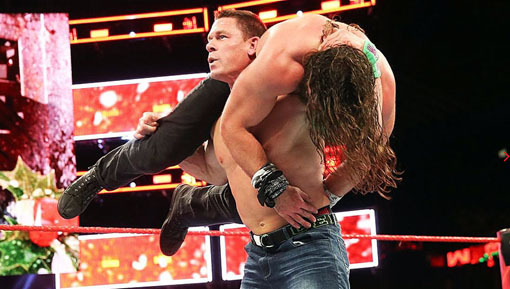 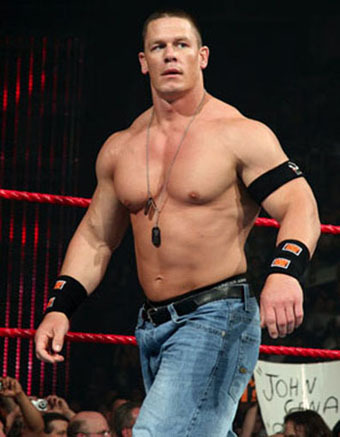 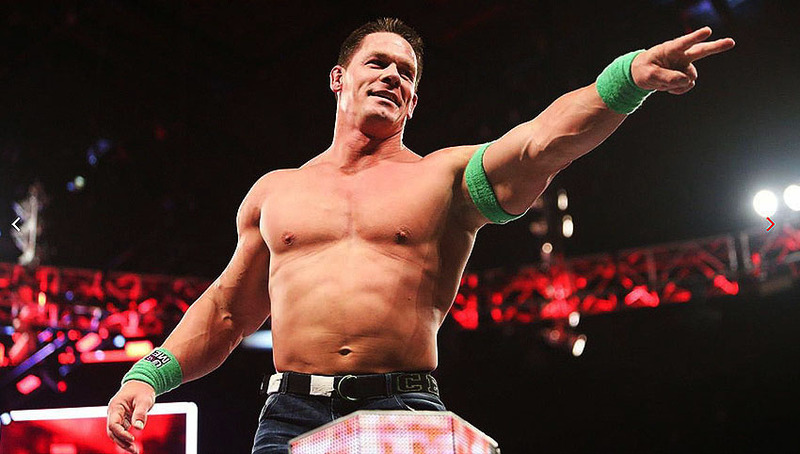 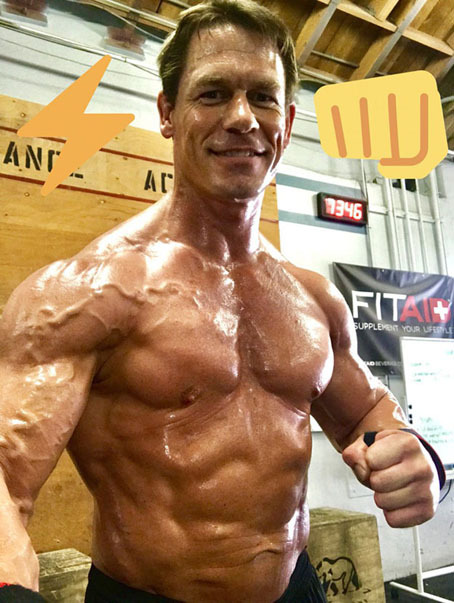 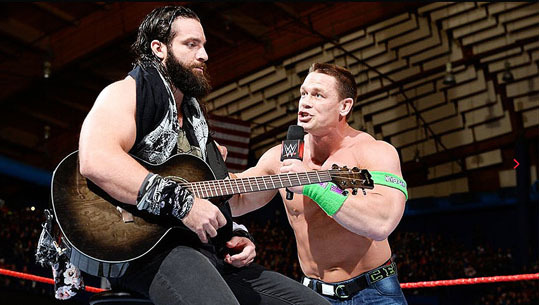 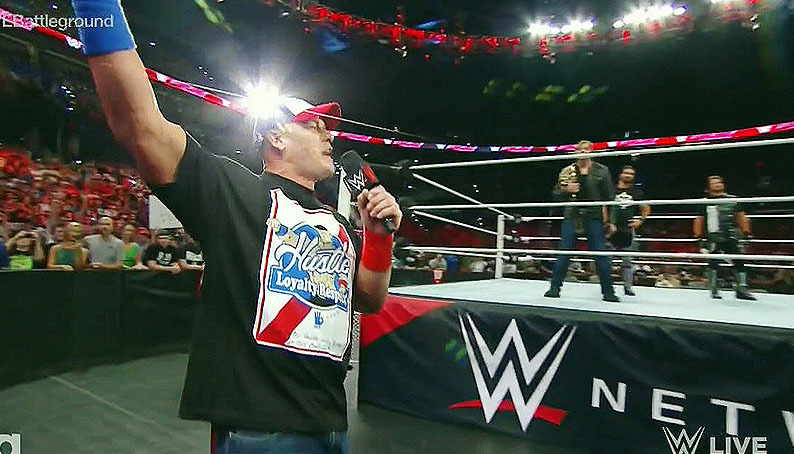 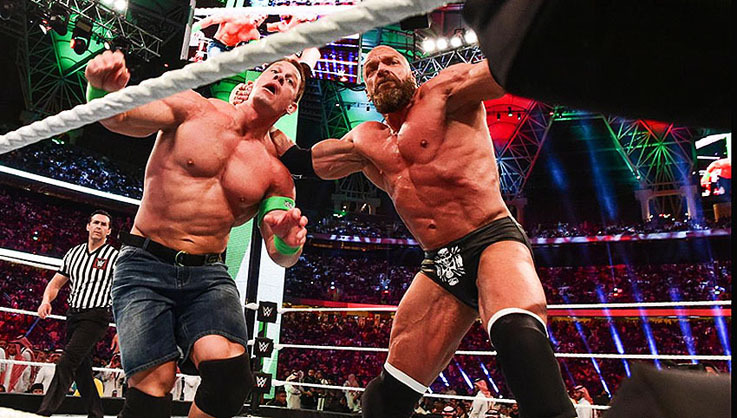 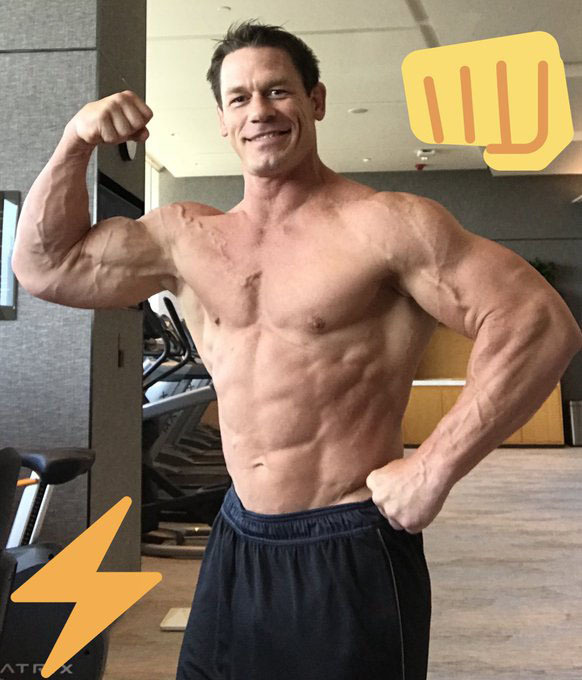 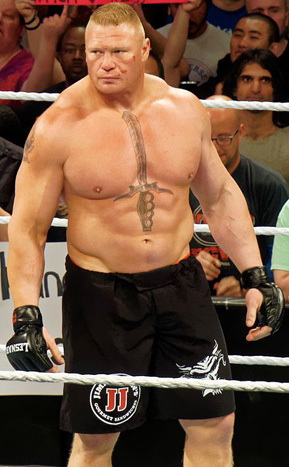 "DOWN TO 236lb from 254lb AND REALLY WEIRDING OUT THE POOR SOB ON THE TREADMILL BEHIND ME..."J. C.
HOPE THAT TO HAVE REDUCED HIS MUSCULAR SHAPE WILL NOT AFFECT CENA'S RESILIENCE AND STRENGTH! 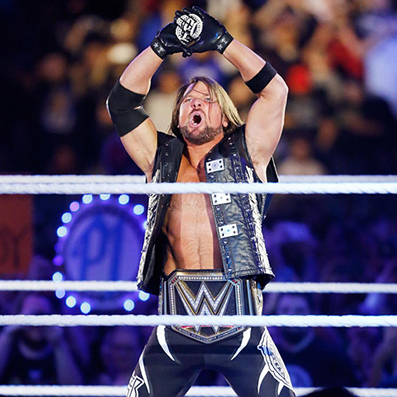 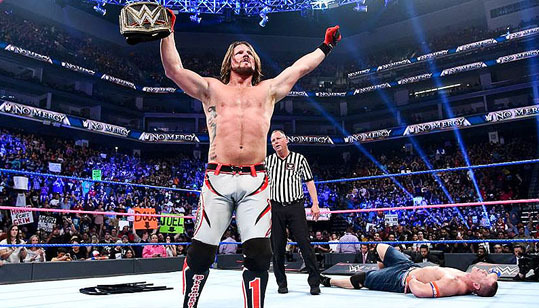 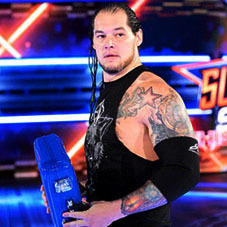 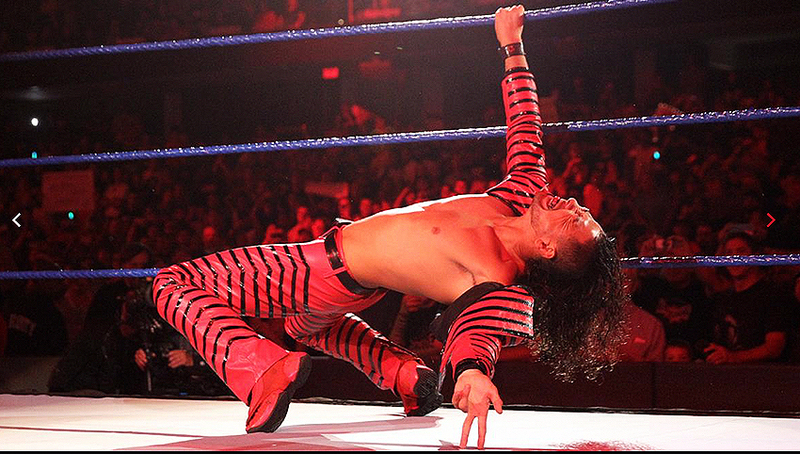 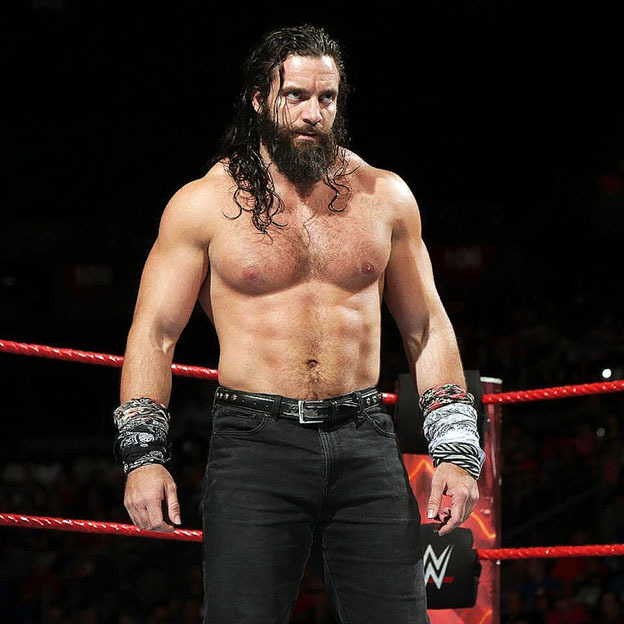 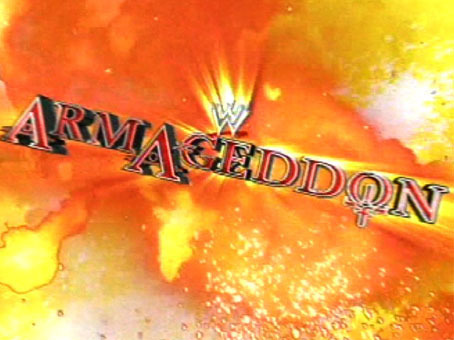 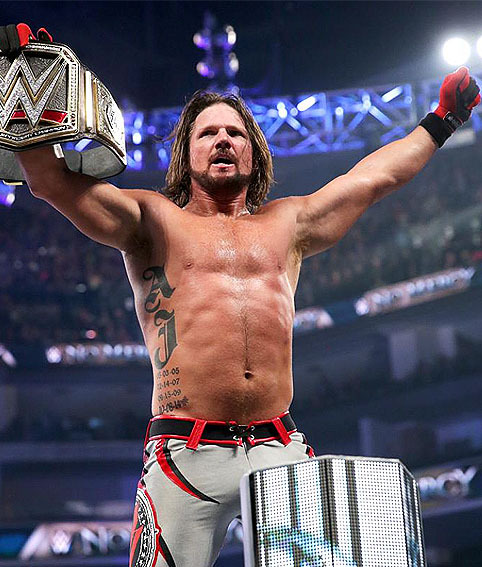 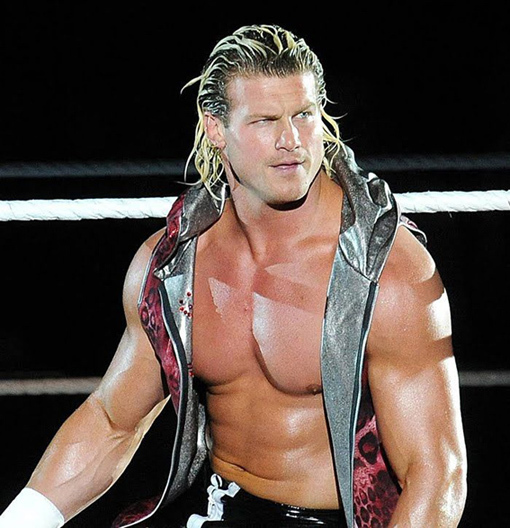 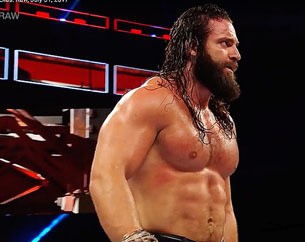 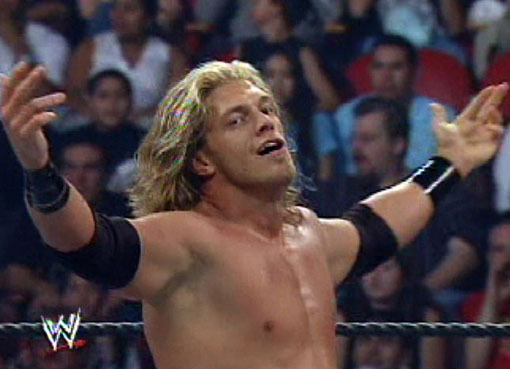 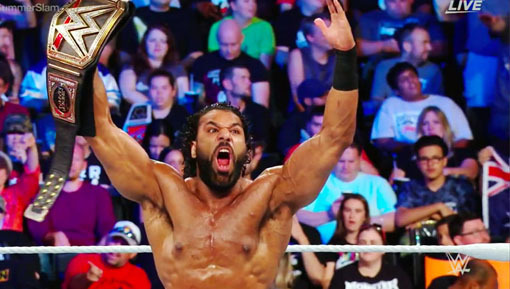 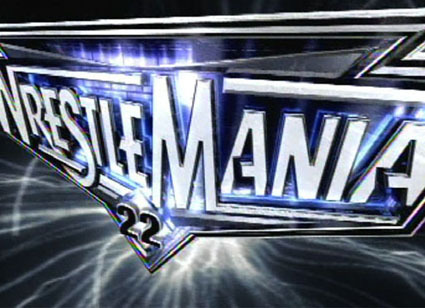 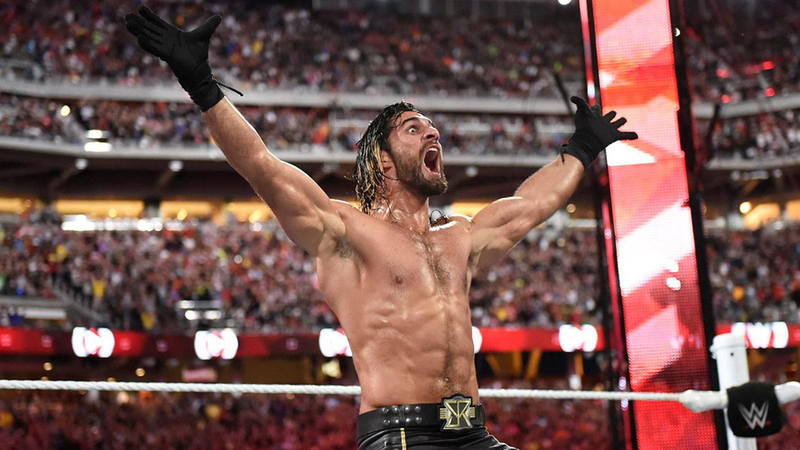 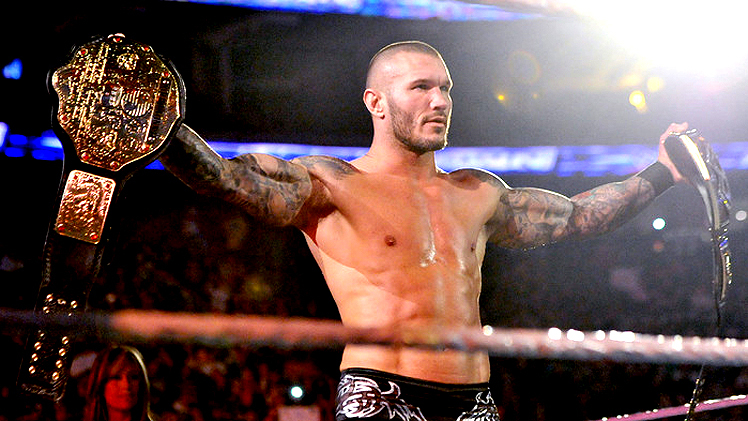 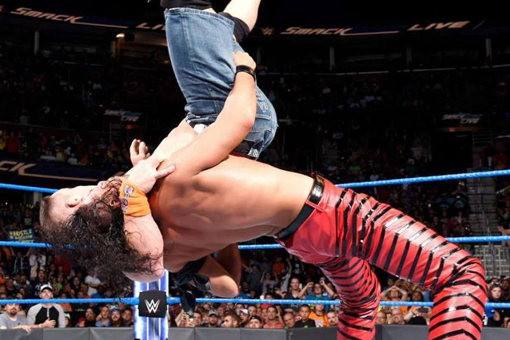 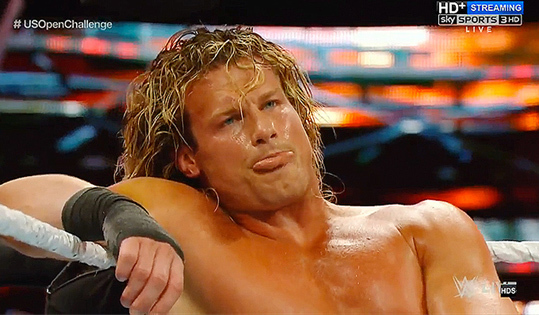 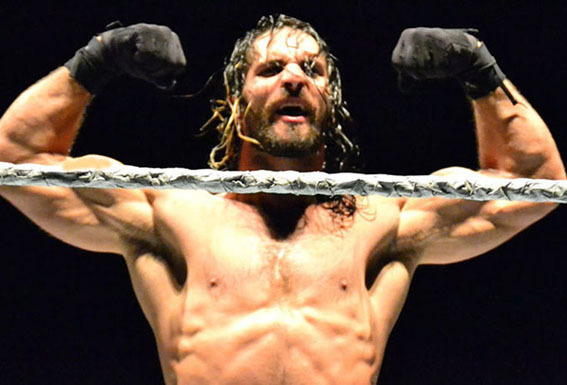 COULD STILL BE A REAL CHALLENGER FOR THE WWE SUPERSTARS? 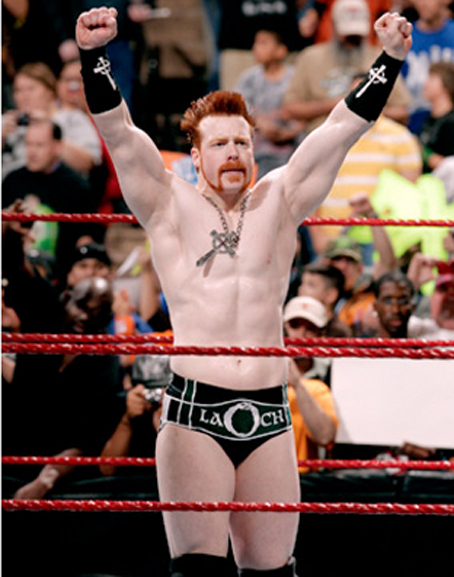 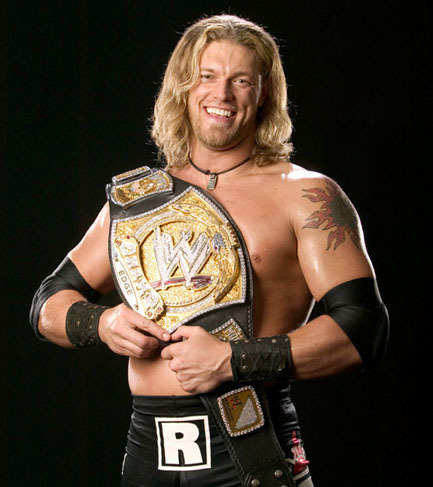 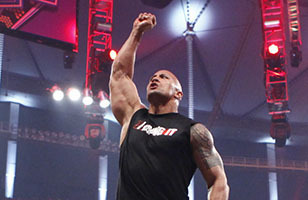 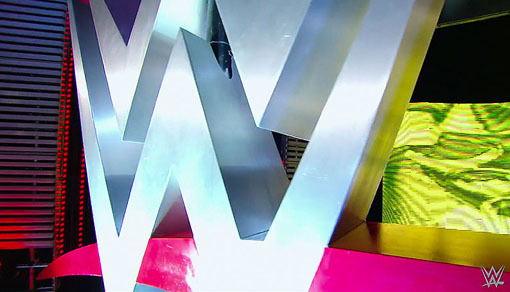 LONG LIVE IN THE WWE! 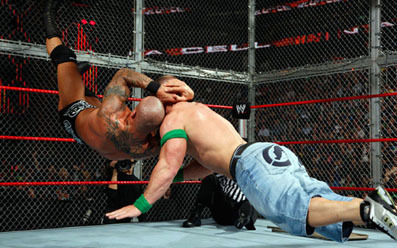 THE 6TH MOVE OF DOOM!